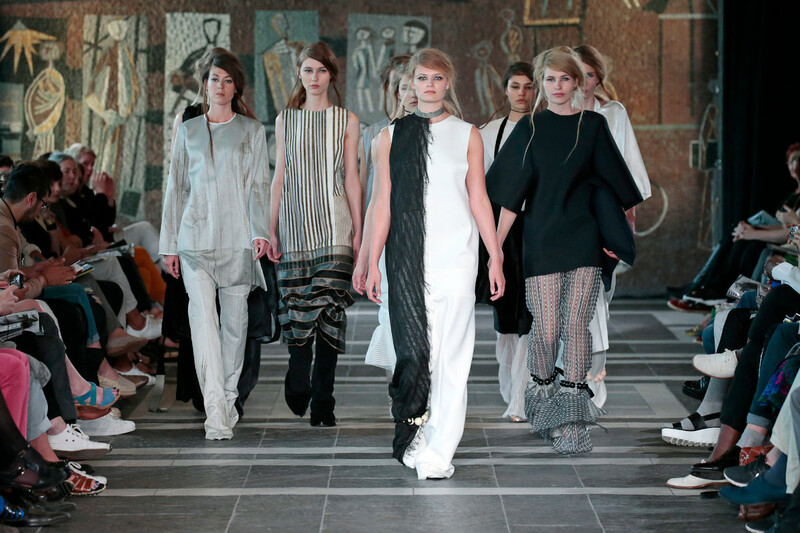 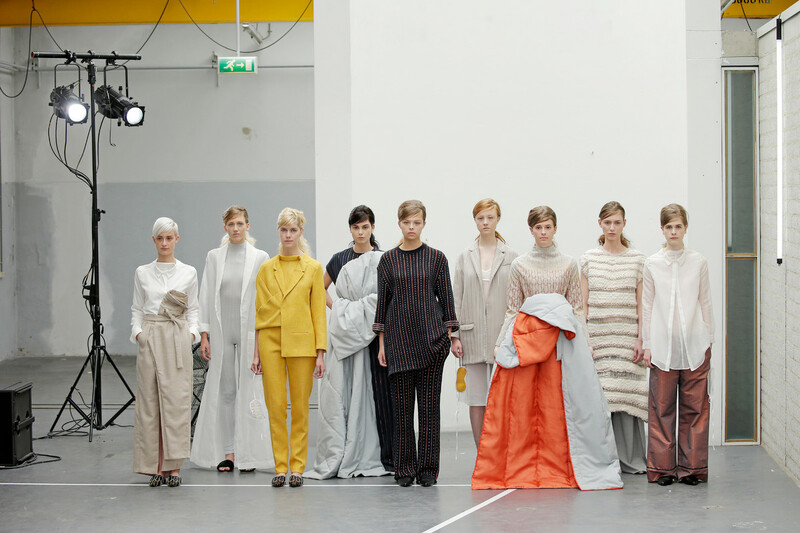 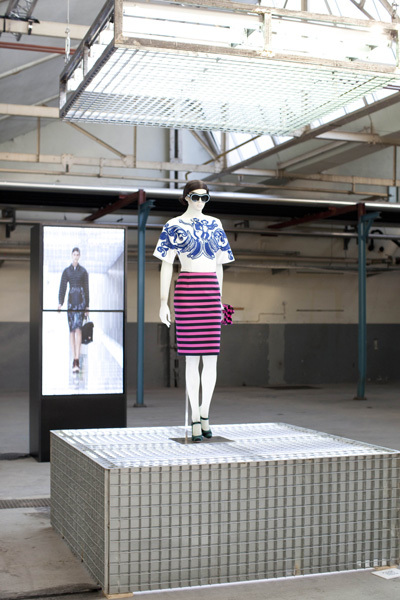 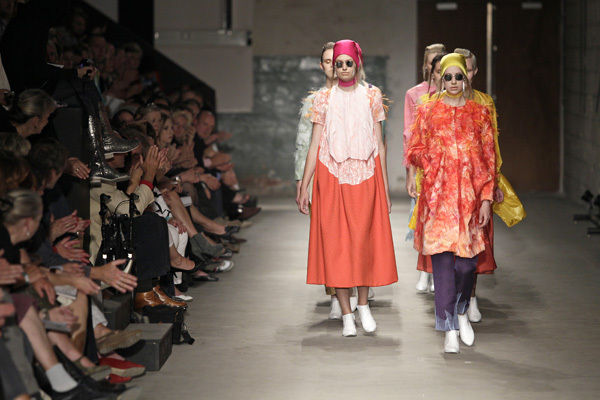 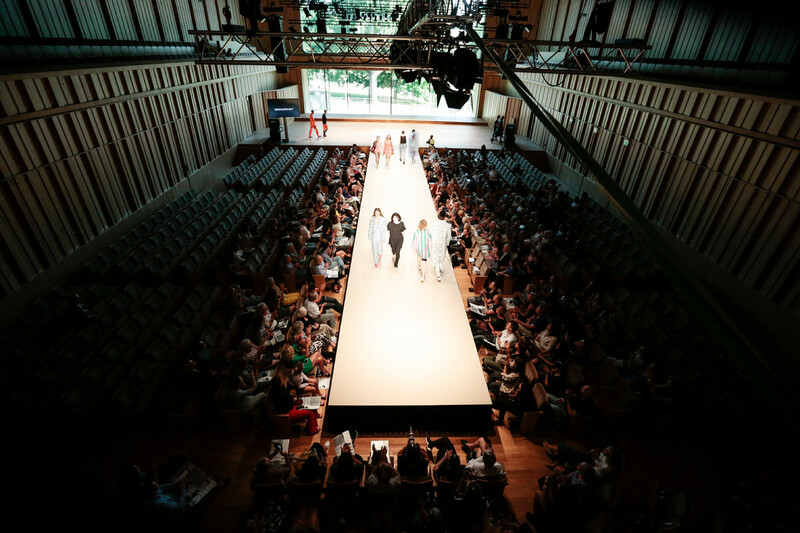 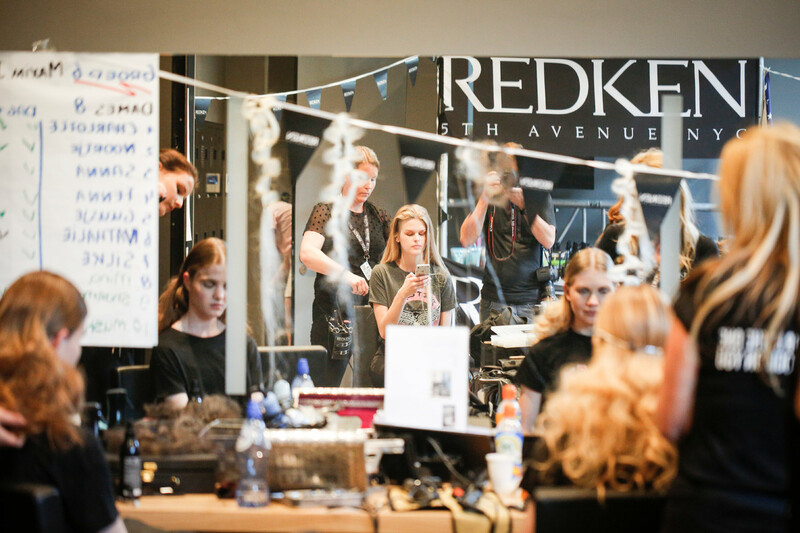 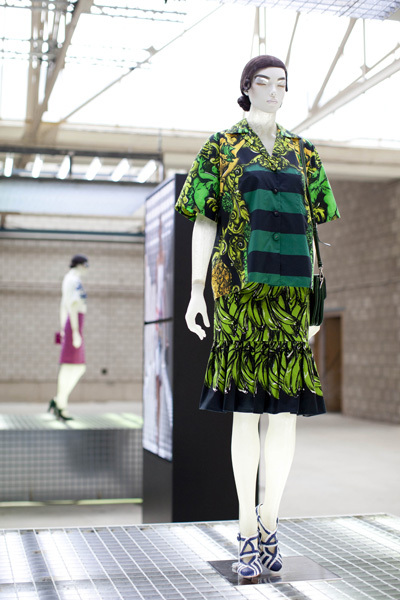 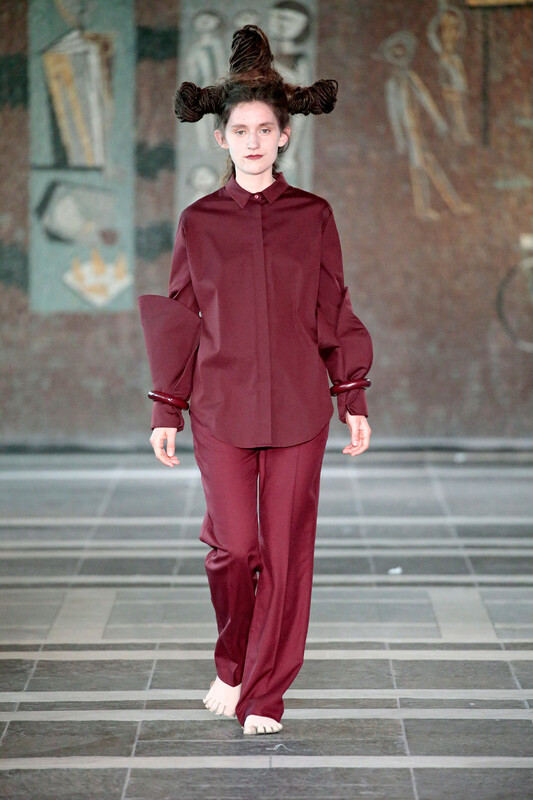 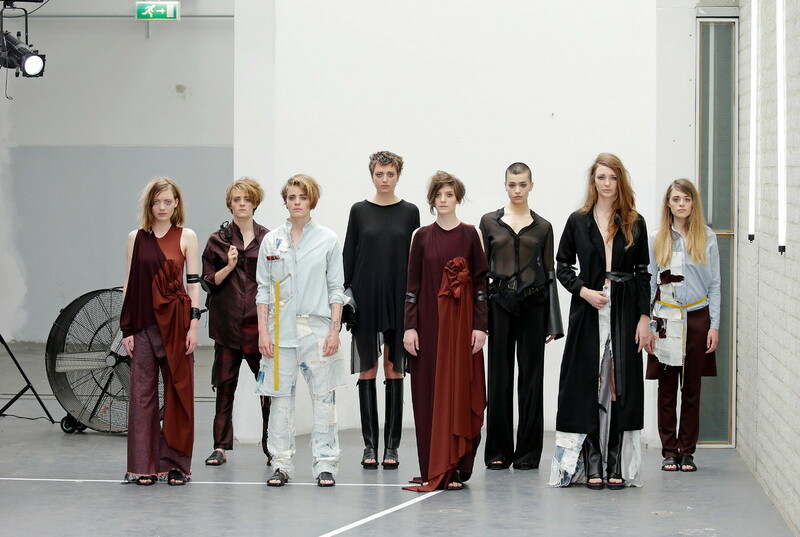 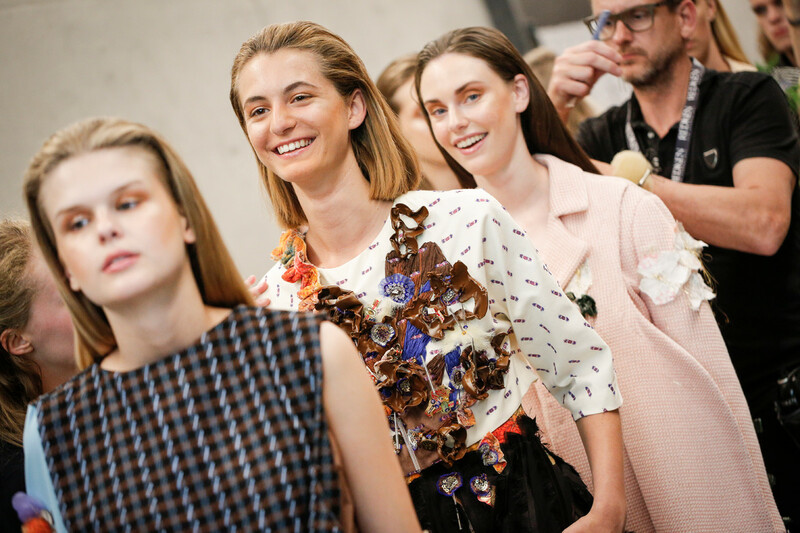 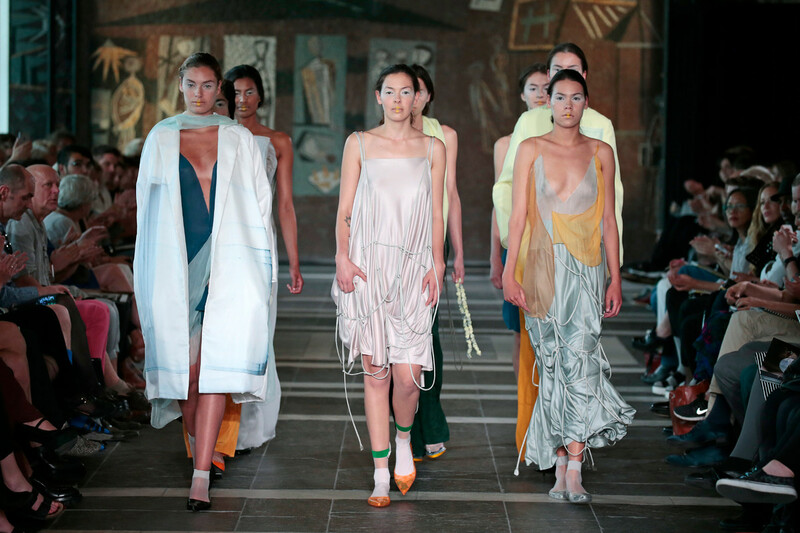 Jil Sander and Prada designed two of the most popular collections of this season, which made their contribution to the Arnhem Mode Biënnale extra special. 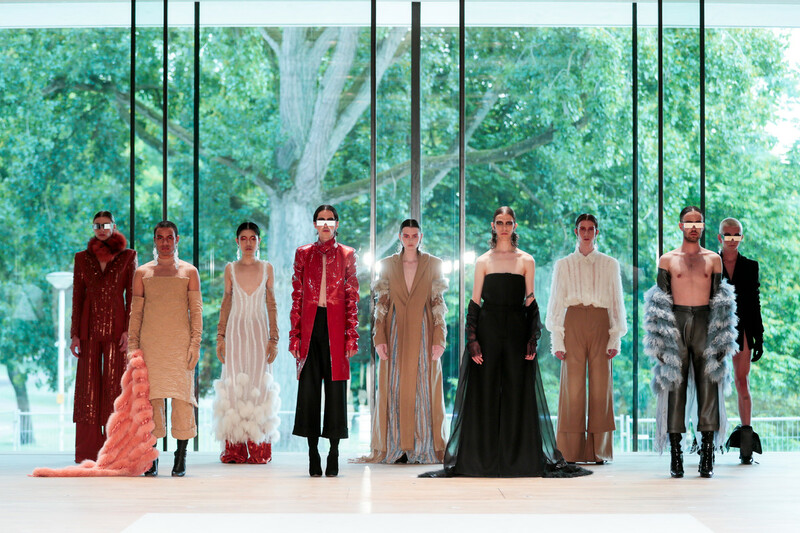 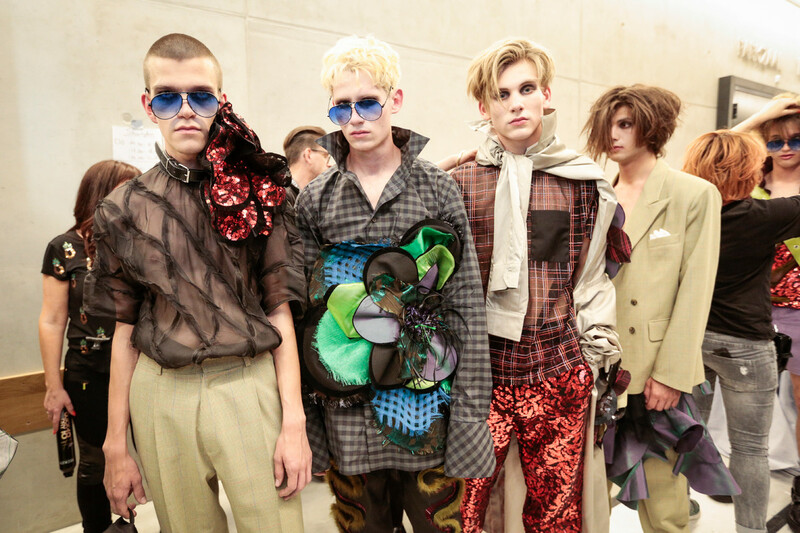 Prada brought pieces of their actual Milan catwalk to Arnhem and Jil Sander’s collection can be looked at through several magnifying lenses. 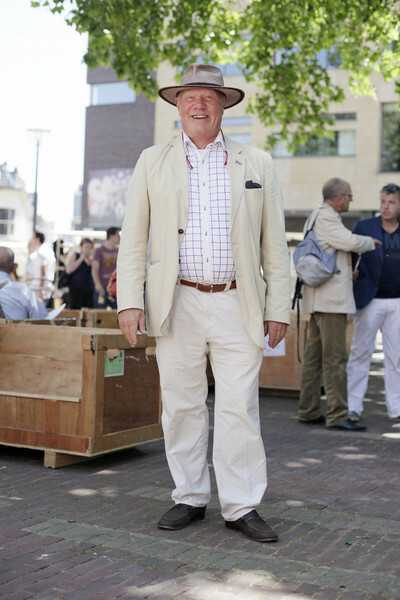 During the Arnhem Mode Biënnale Dutch Design is well represented. 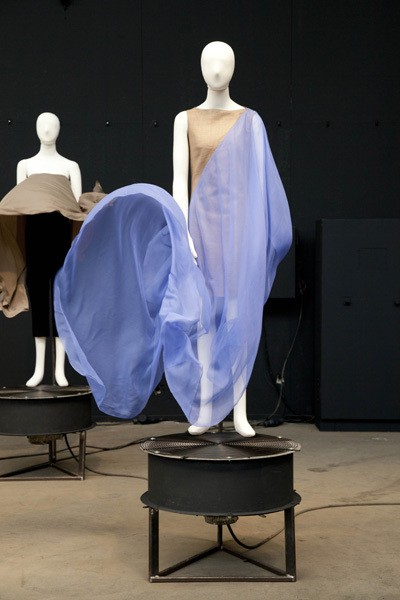 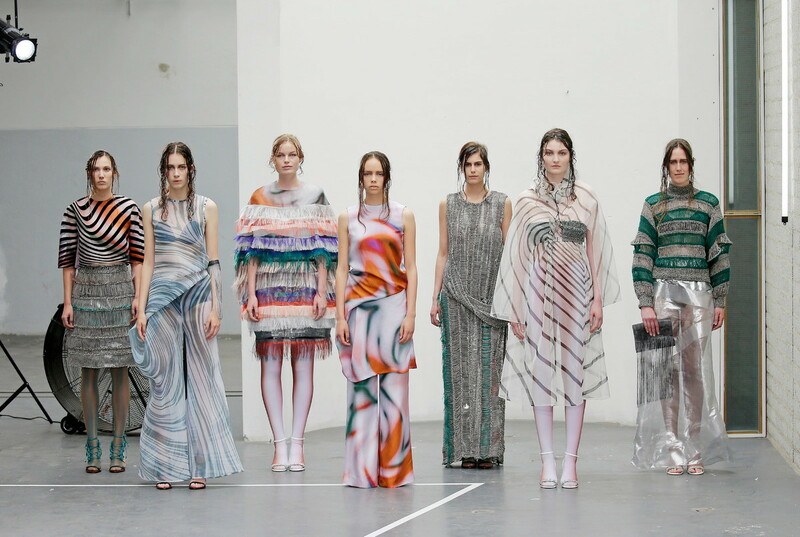 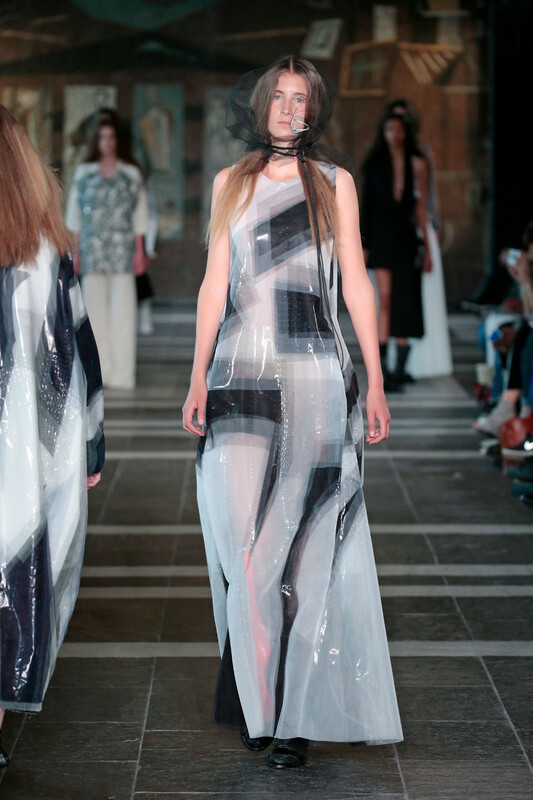 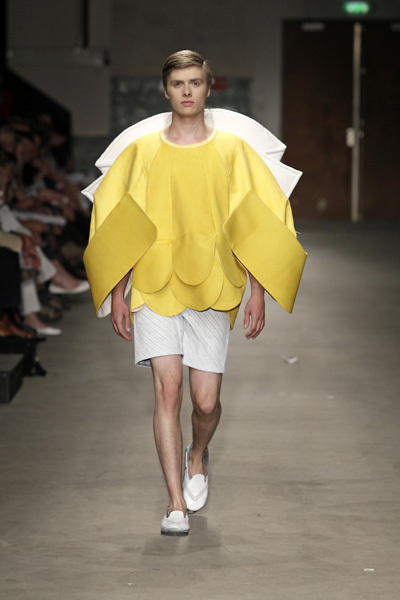 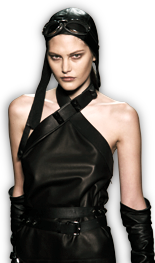 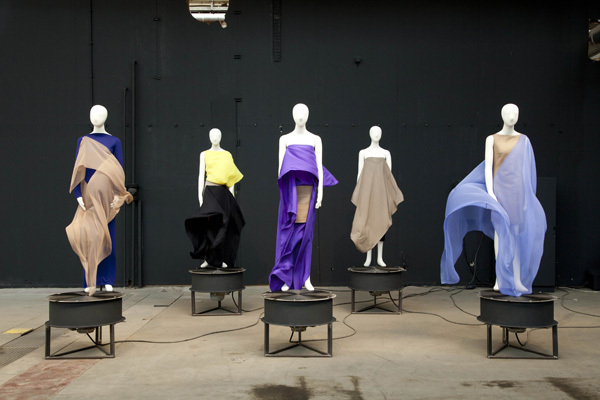 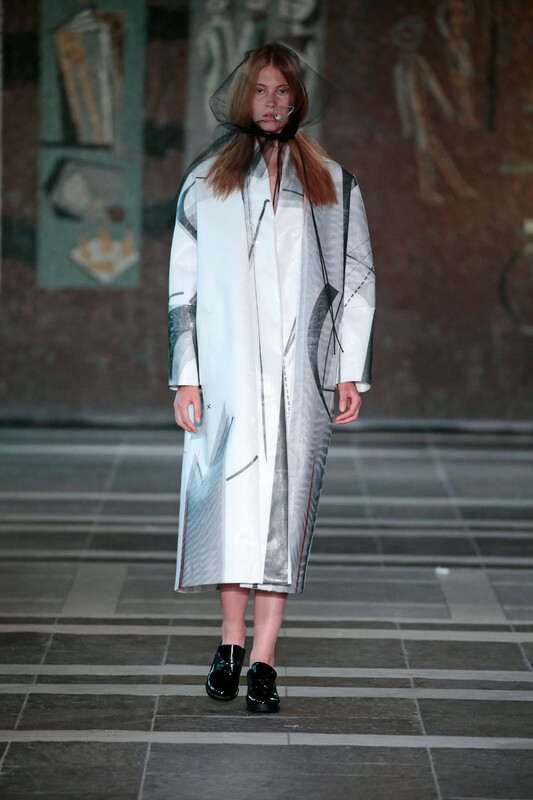 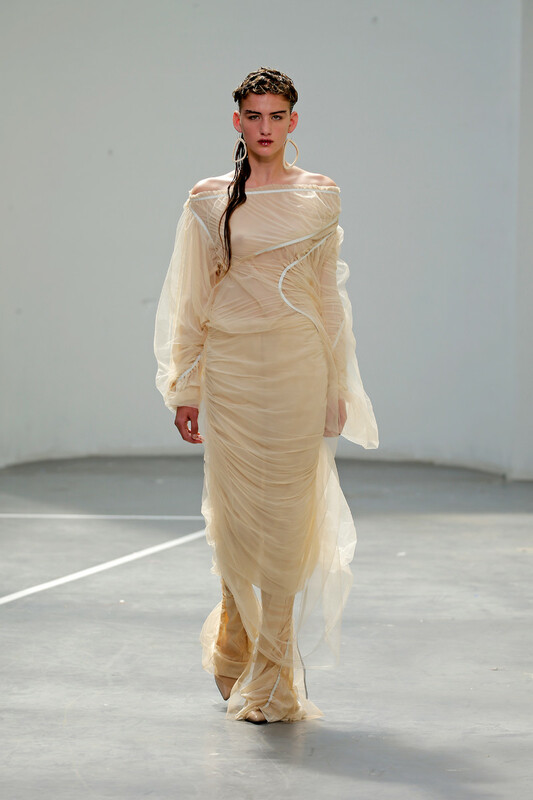 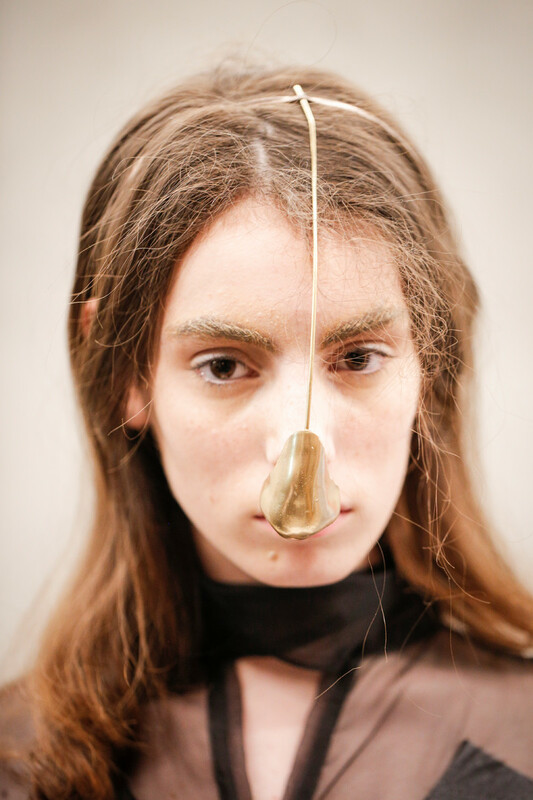 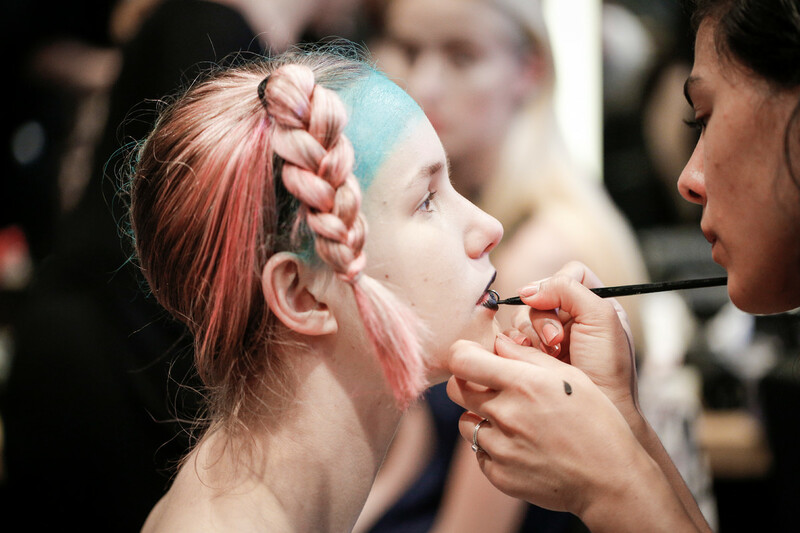 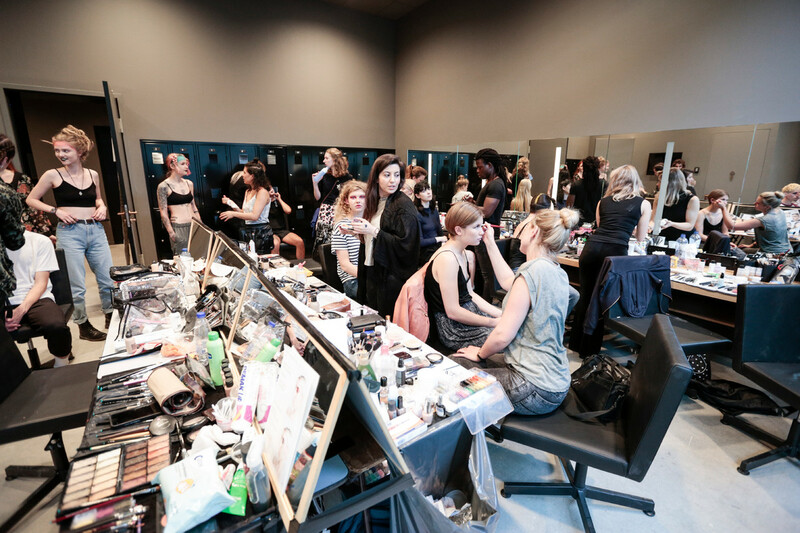 You can, for instance, take a look at some of the designs Klavers van Engelen and Iris van Herpen made. 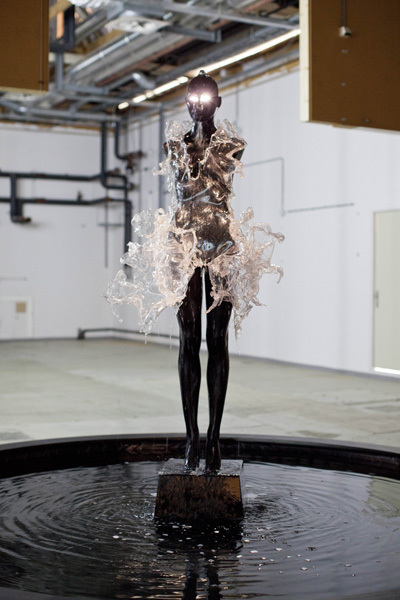 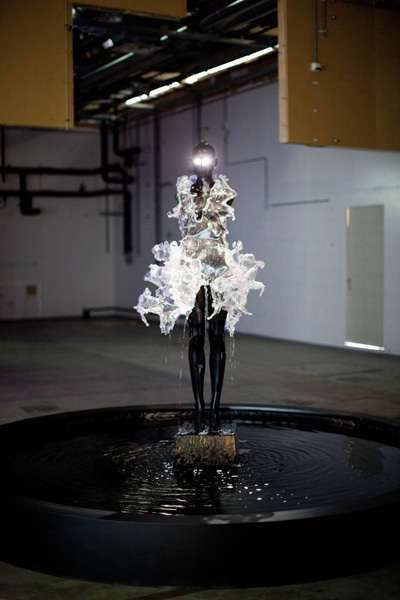 A design made by Iris van Herpen is placed within the exposition as a fountain. 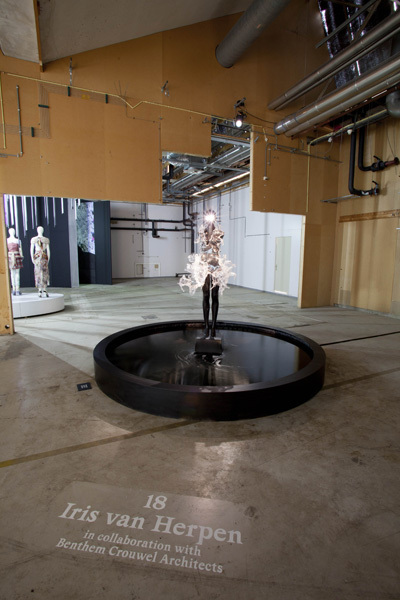 The design (A/W 2011) already told a great story on water and now this story is visualized even better. 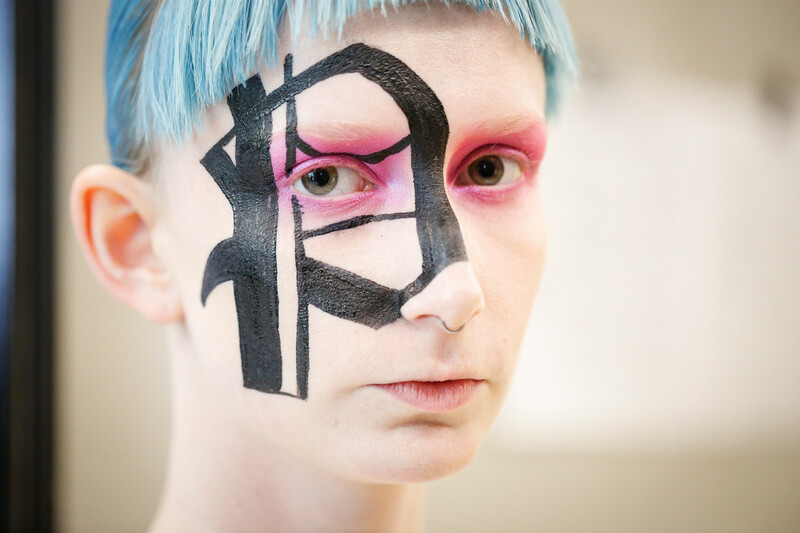 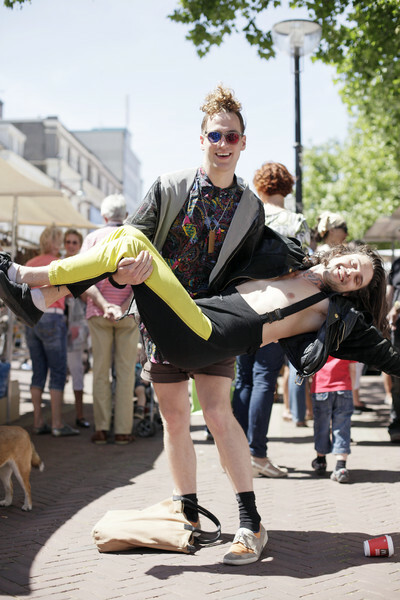 Team Peter Stigter went on the streets of Arnhem to teach thirteen photographers the tricks of good streetfashion photography. 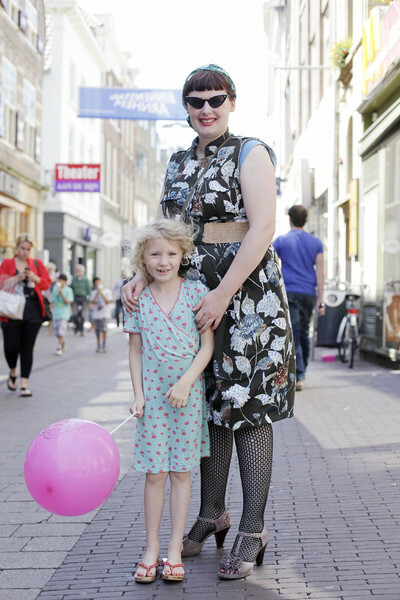 After a short lecture at cafe Dudok in Arnhem they left with one of our photographers to catch some fashionable and interesting dressed people. 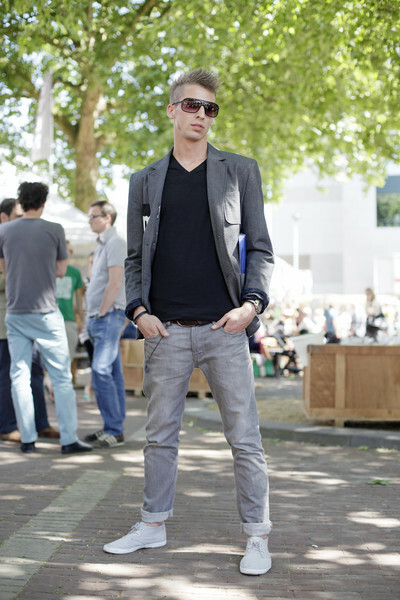 It wasn’t easy – Dutch like their casual style – but the result was promising. 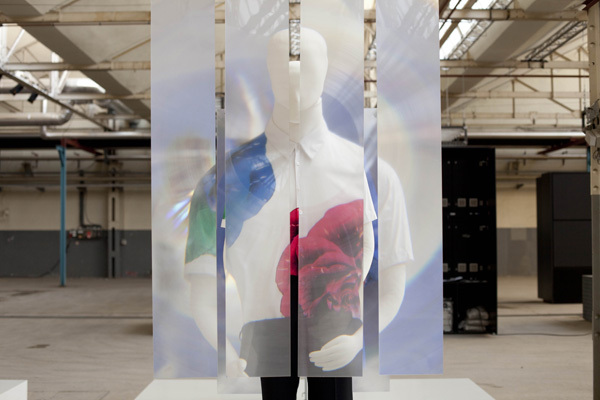 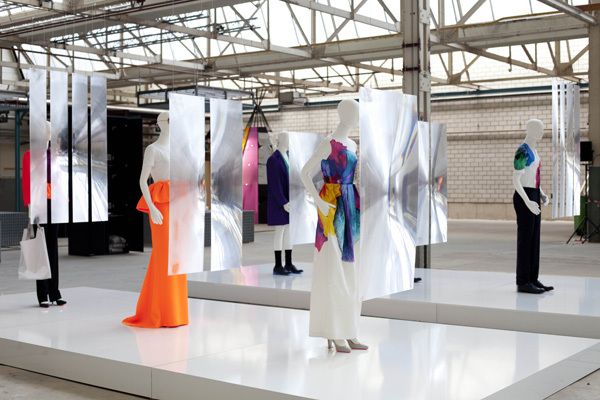 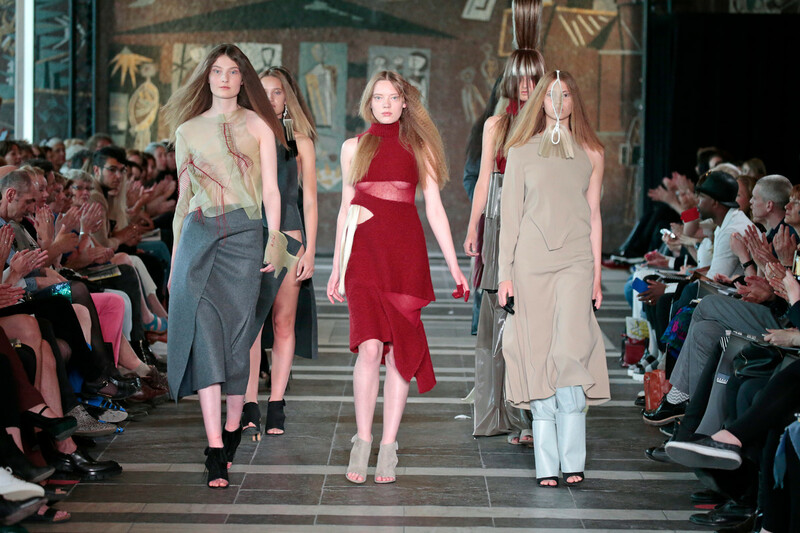 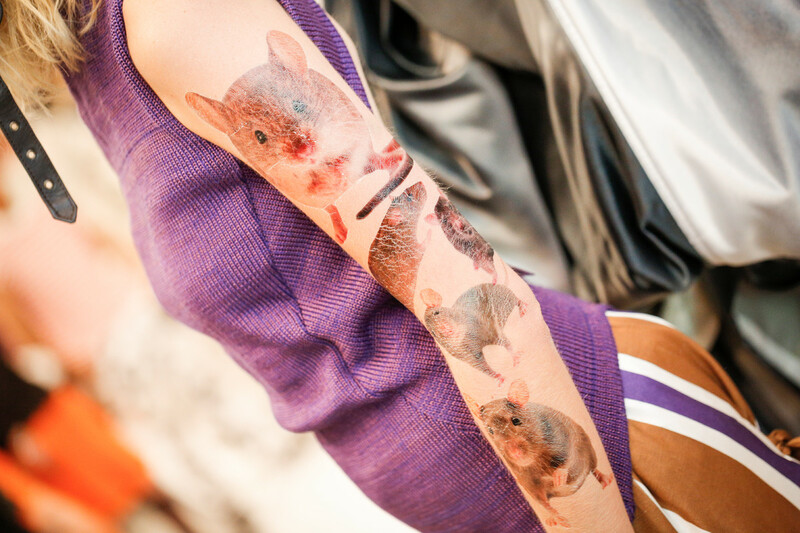 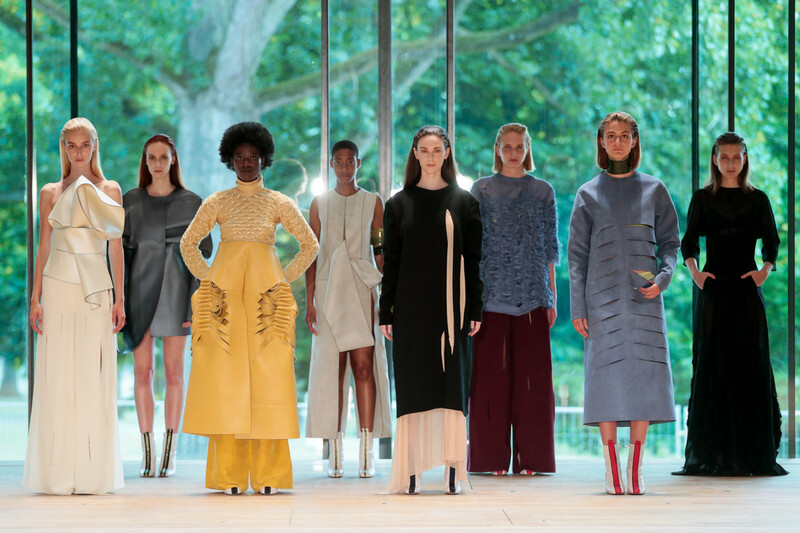 The installation Prologues shows you the work of 22 different young designers. 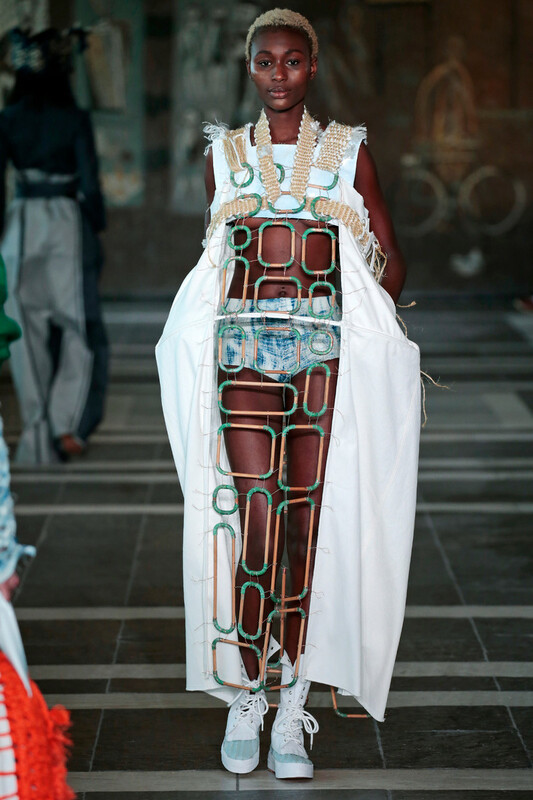 They are uncomprimising, ingenious and resourceful. 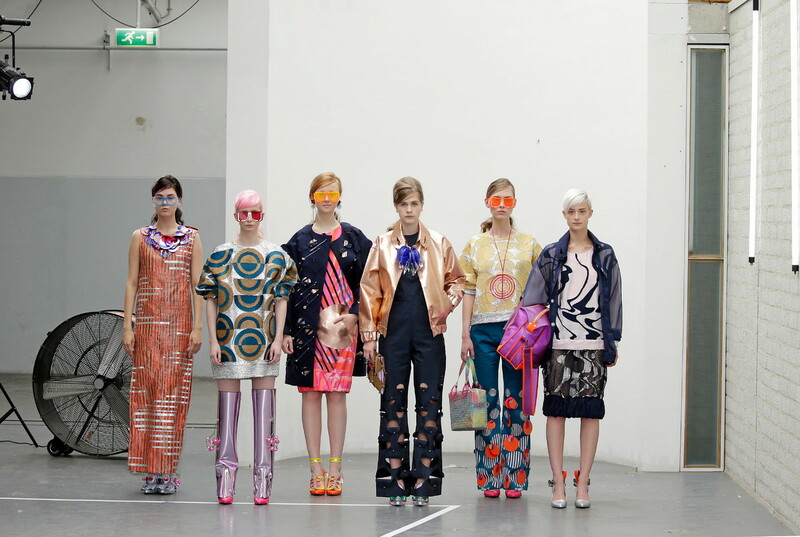 They make the fashion they want to make without thinking to much about the wearability. 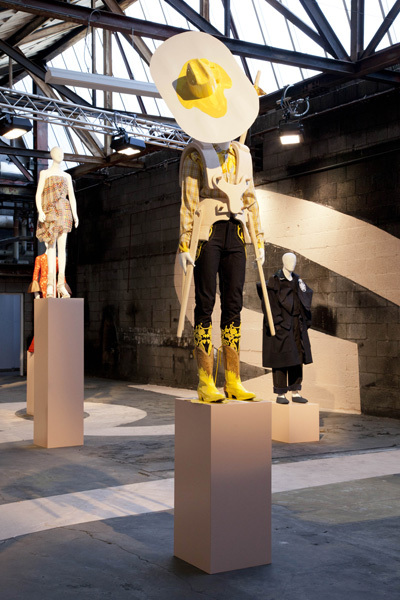 With this installation Amber wants to celebrate this attitude and not let the designer’s creativity be stopped by commercialism. 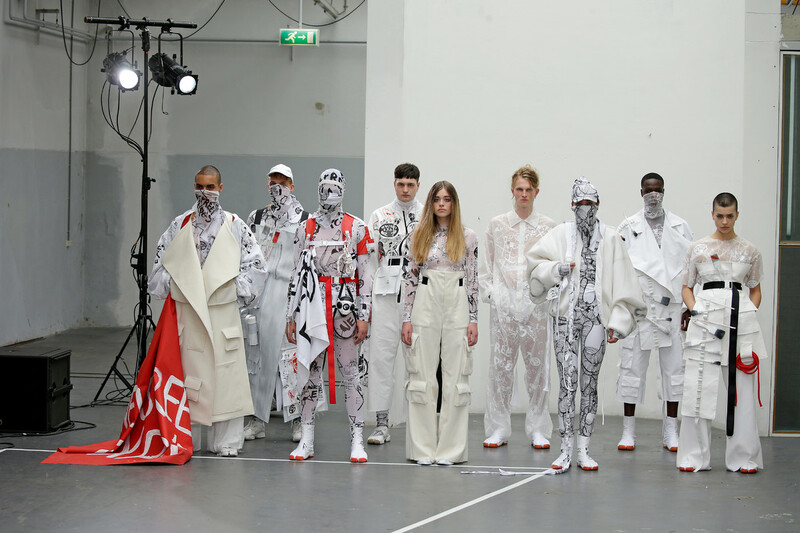 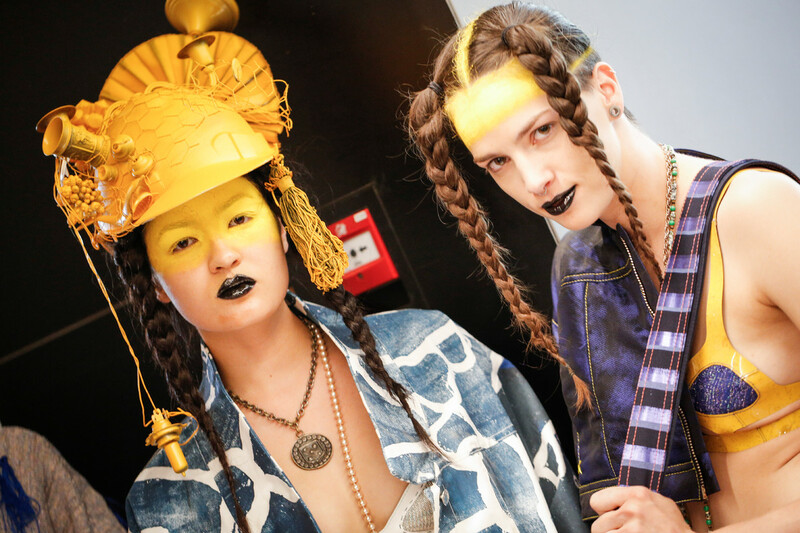 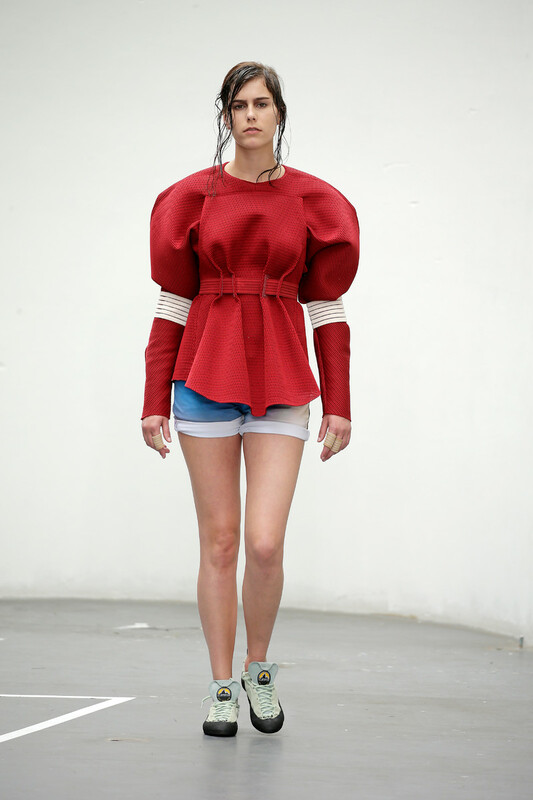 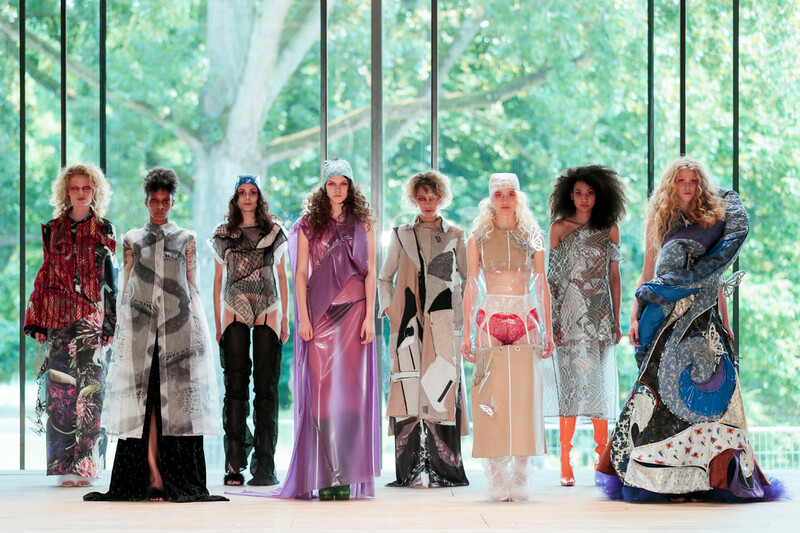 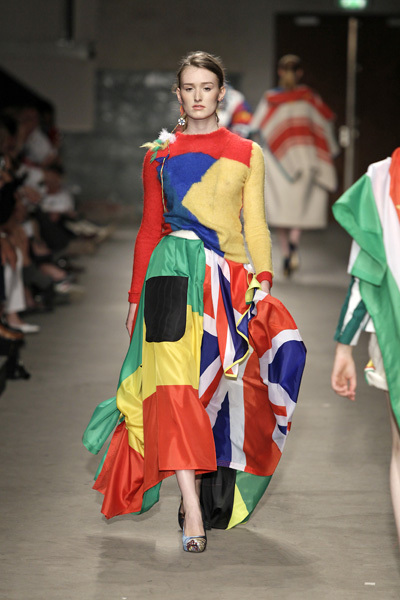 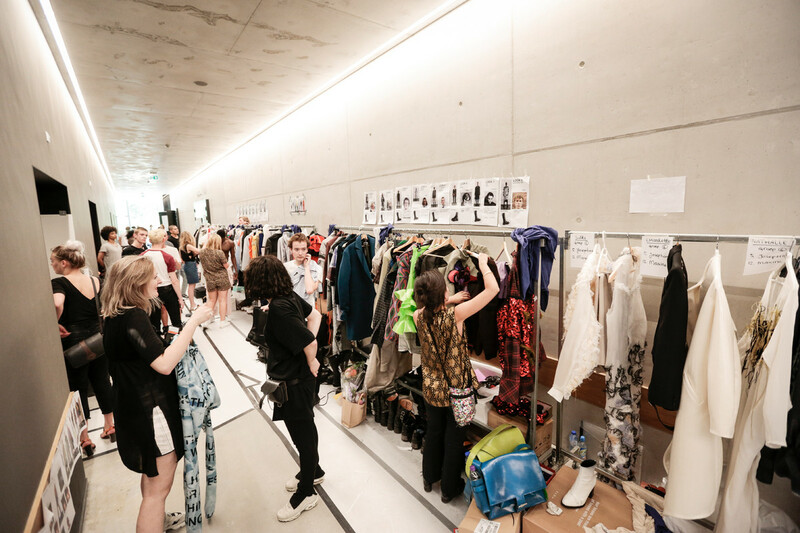 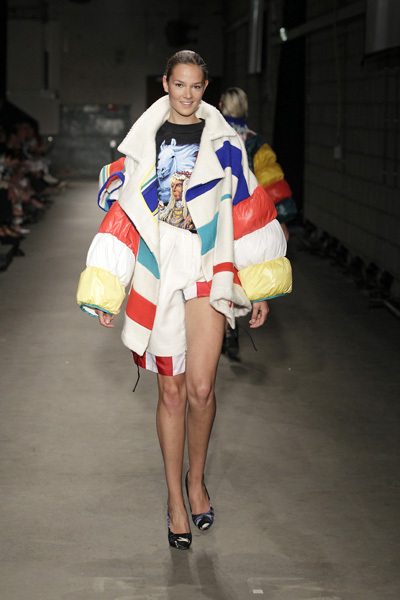 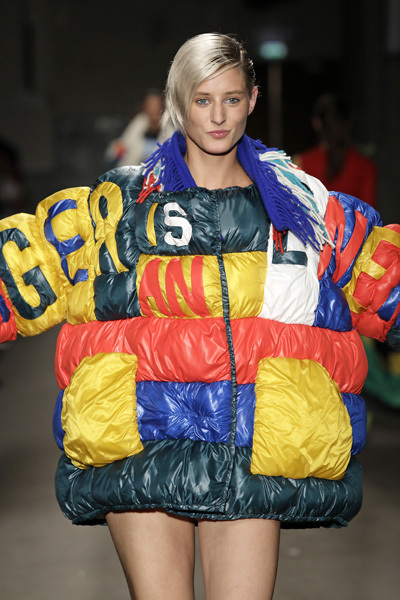 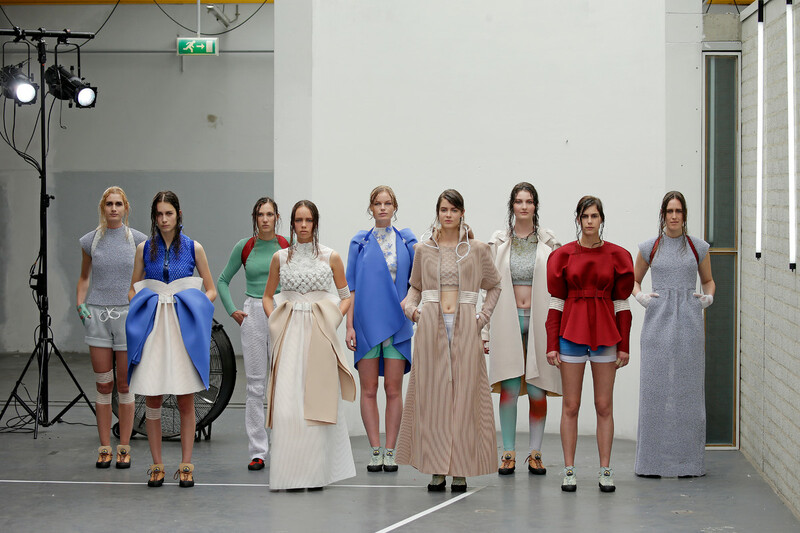 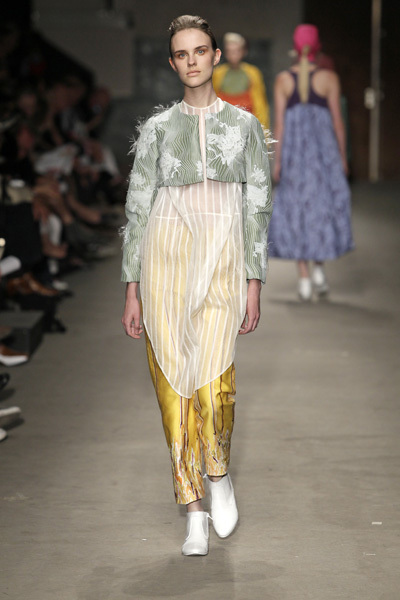 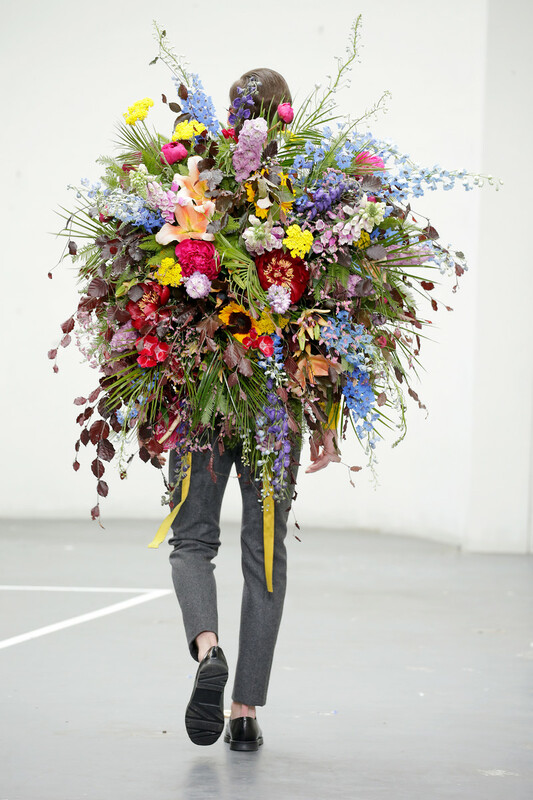 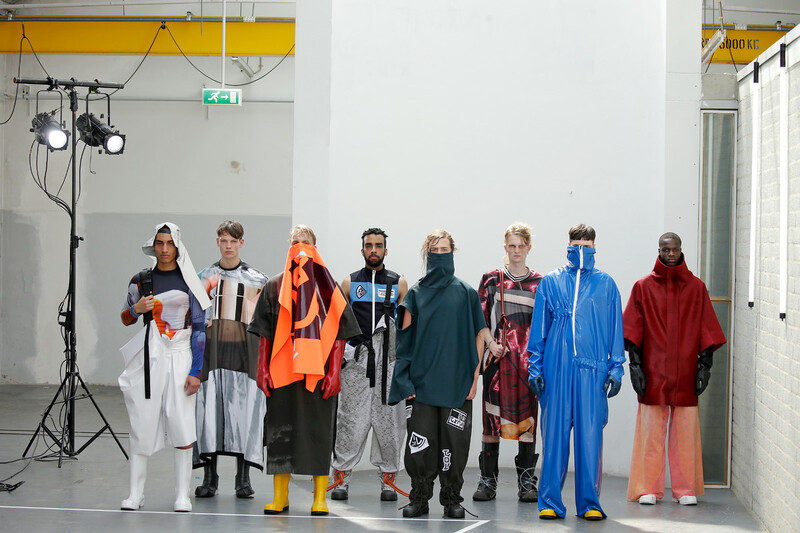 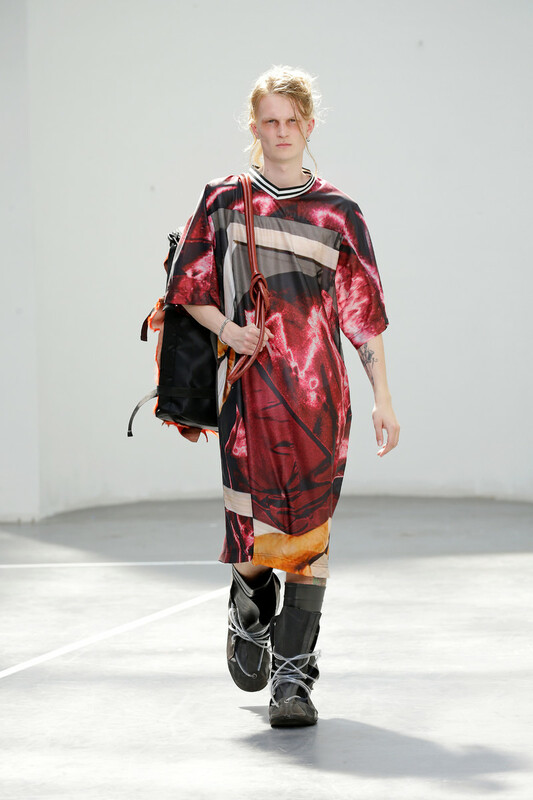 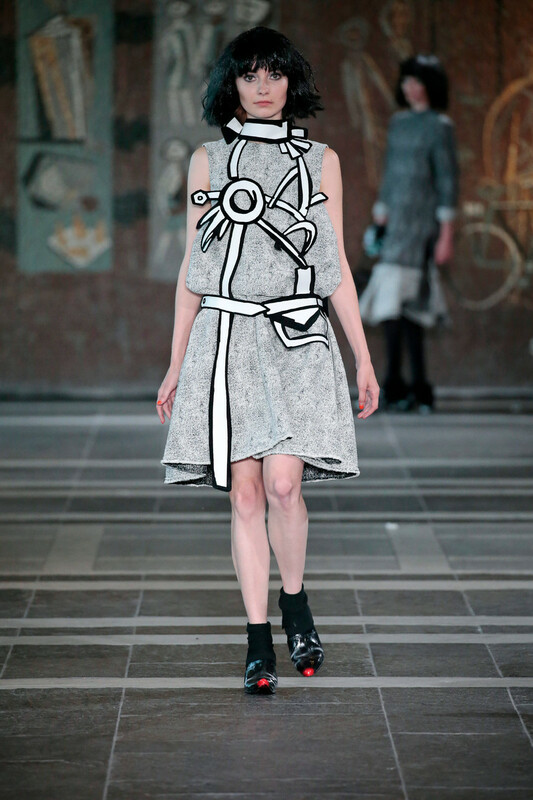 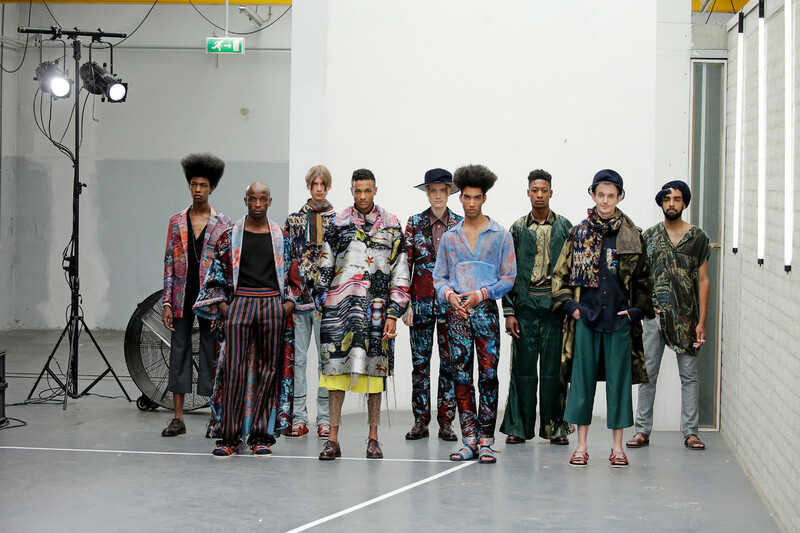 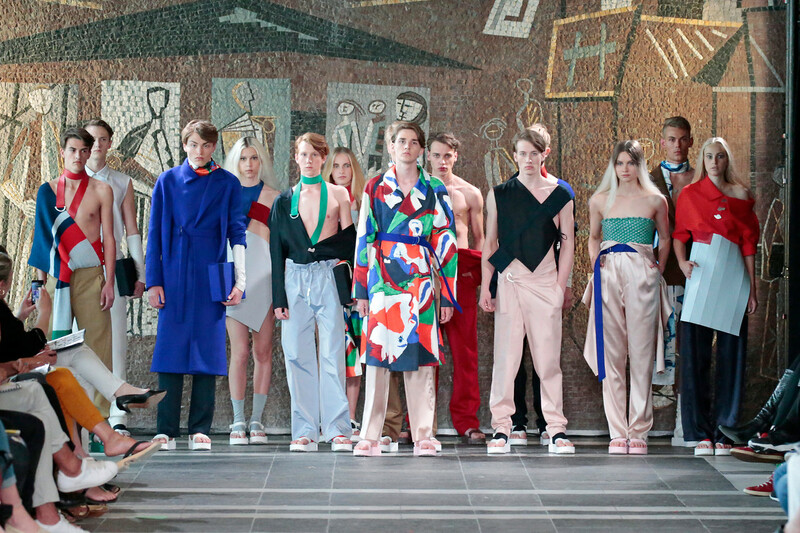 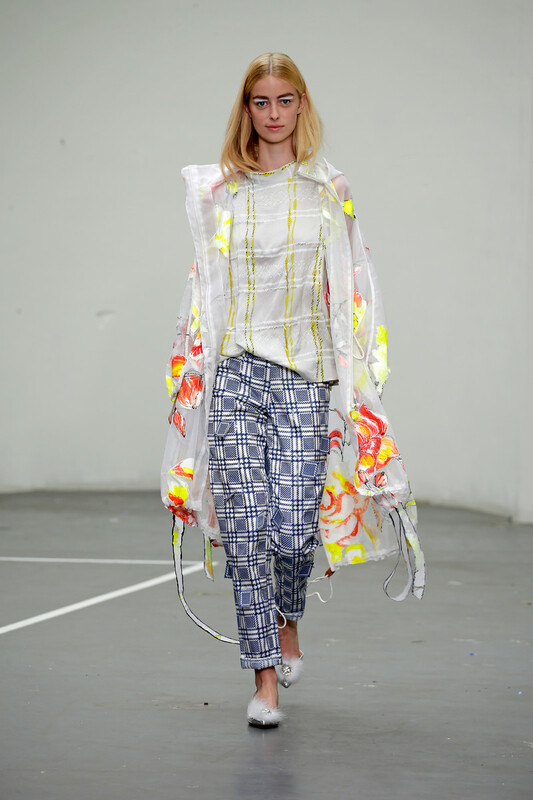 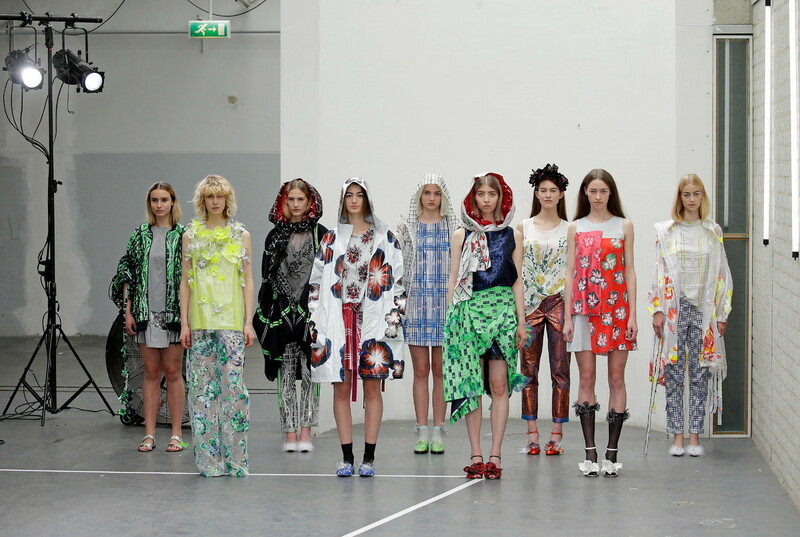 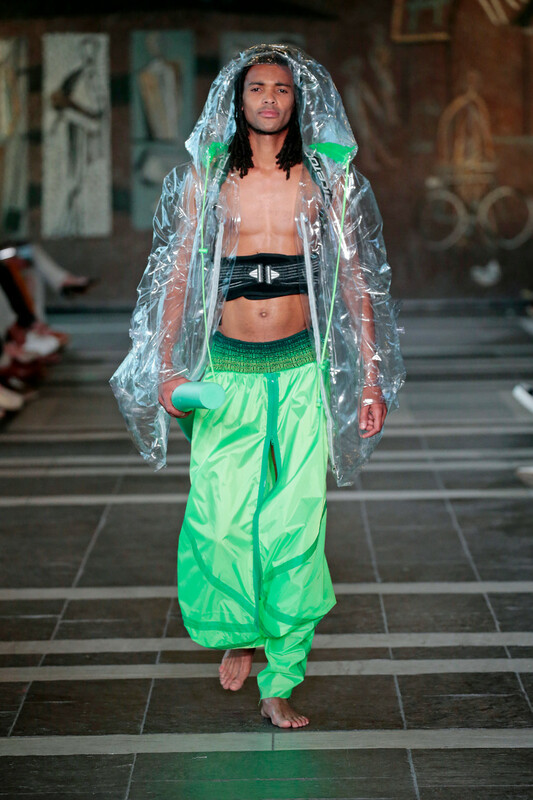 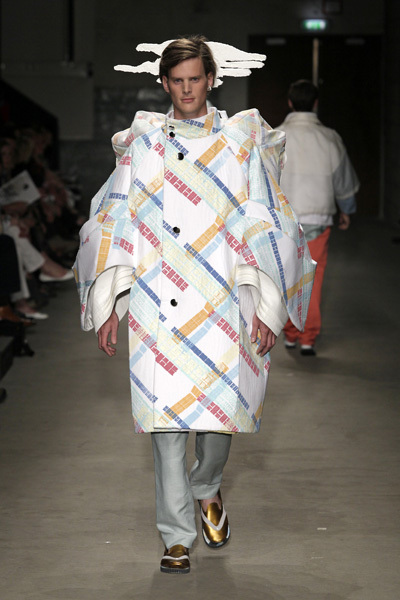 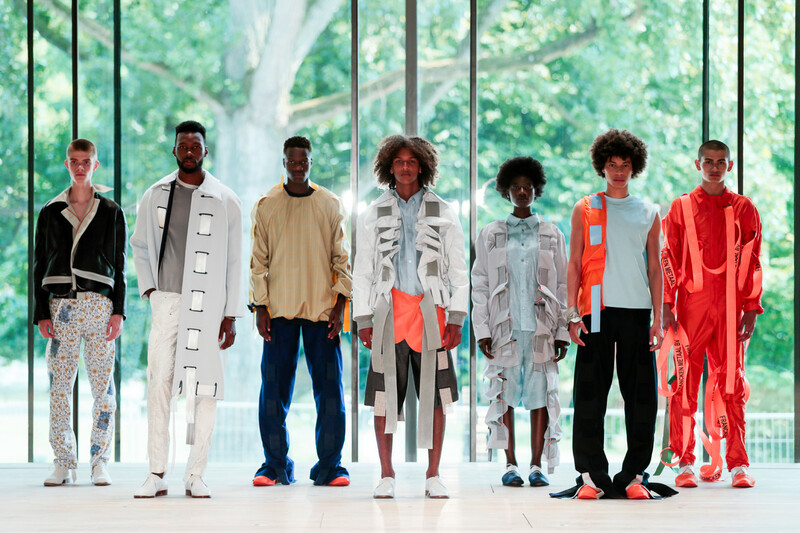 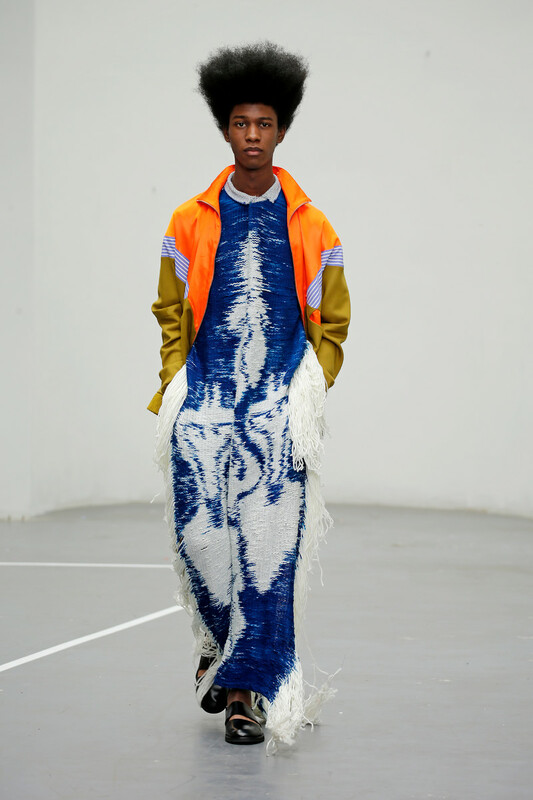 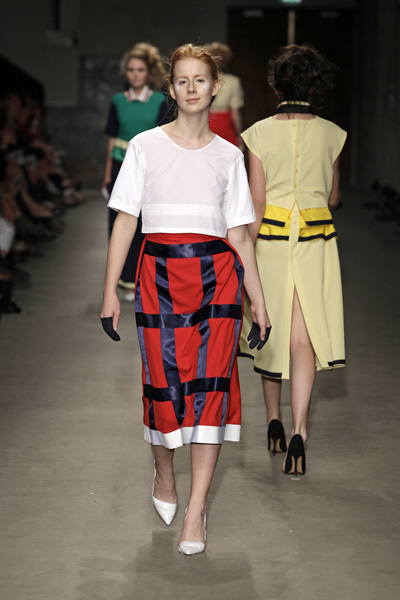 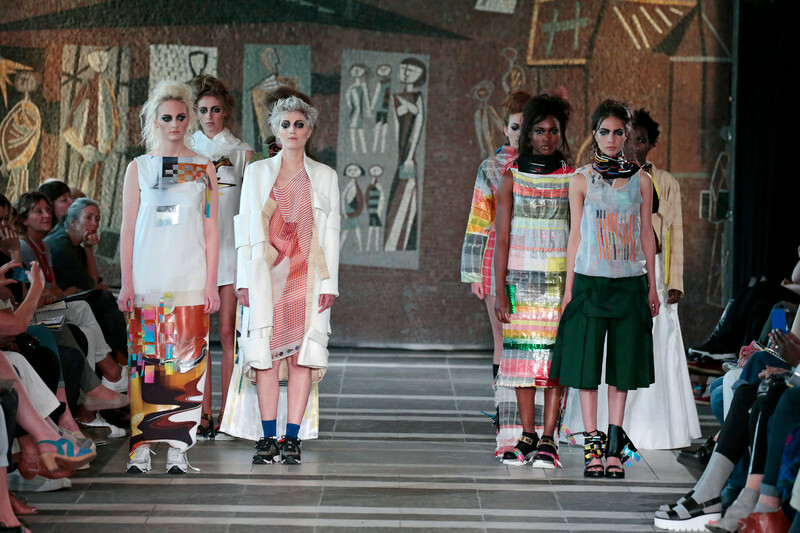 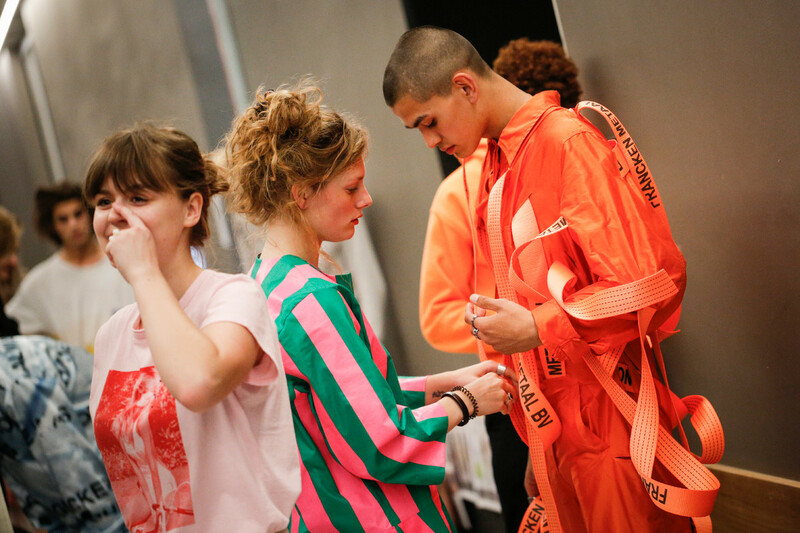 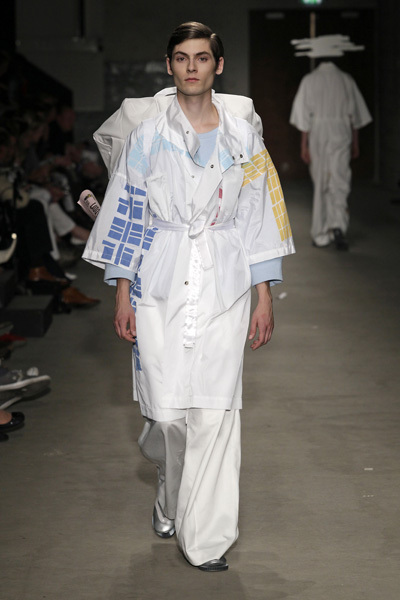 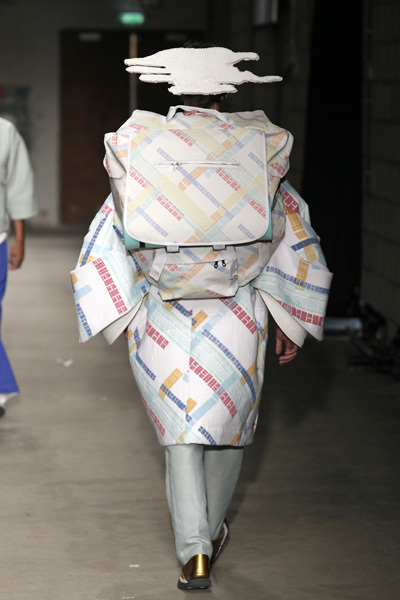 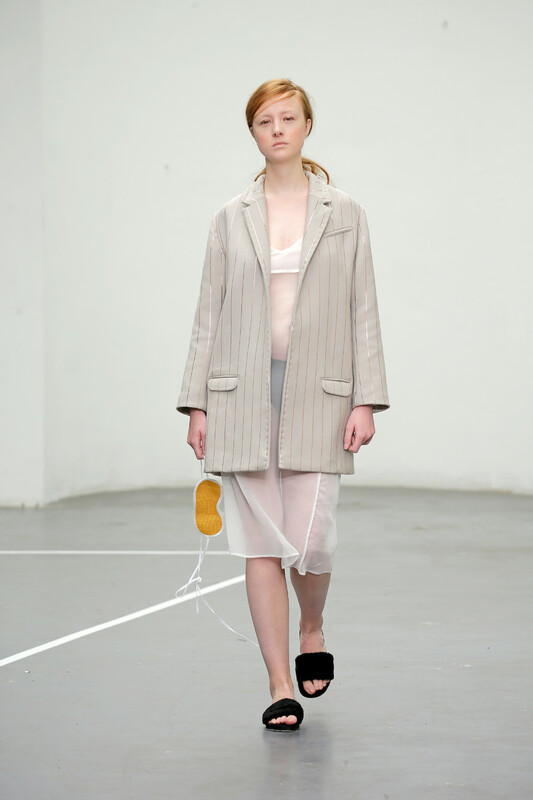 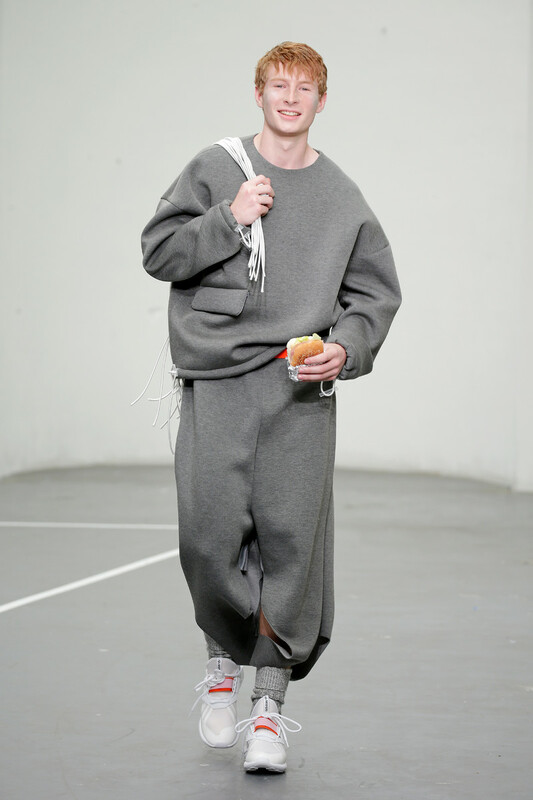 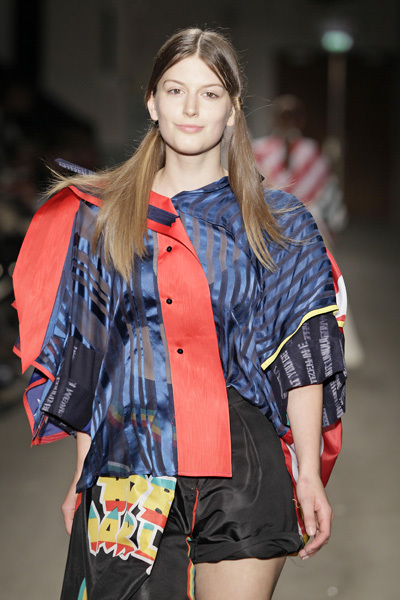 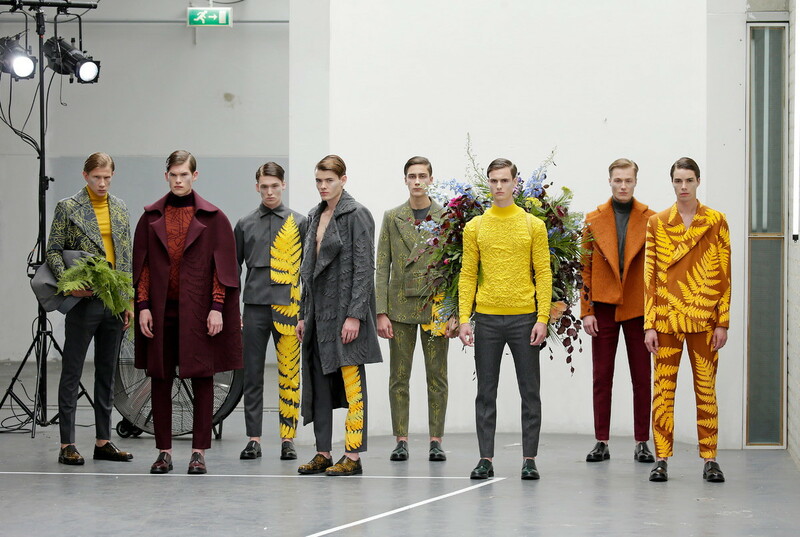 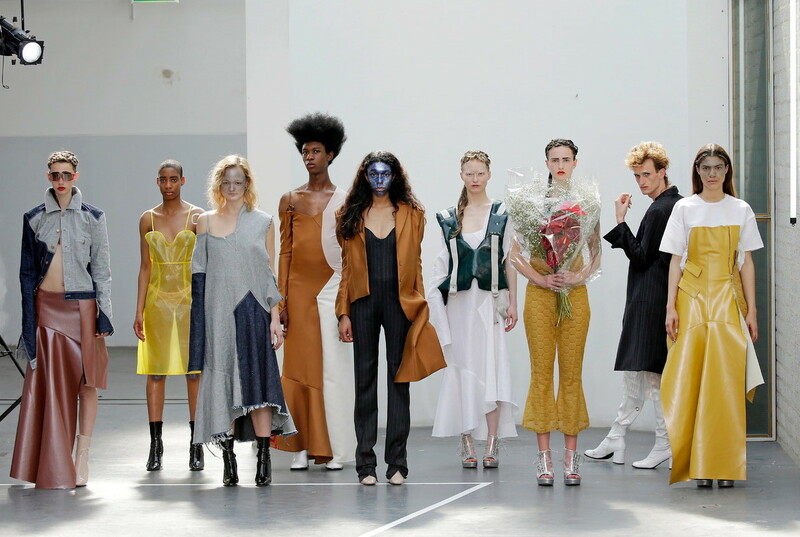 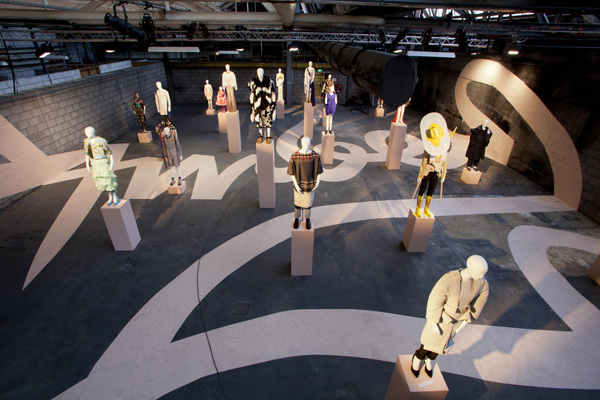 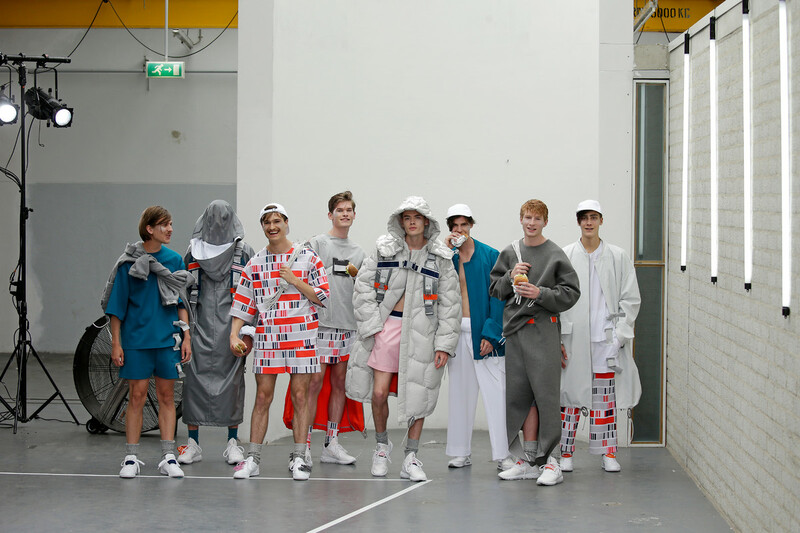 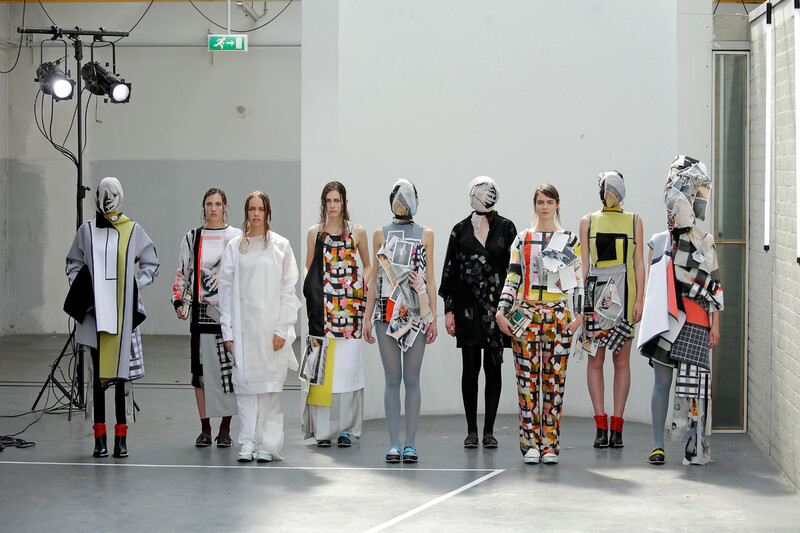 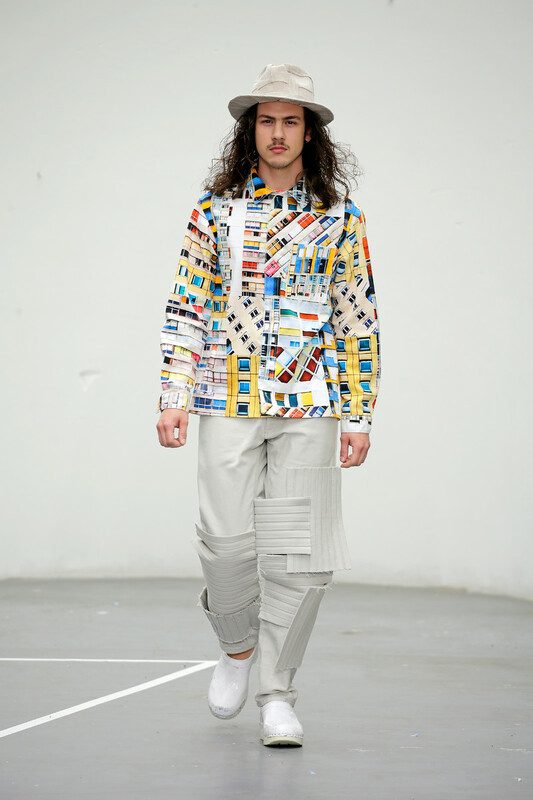 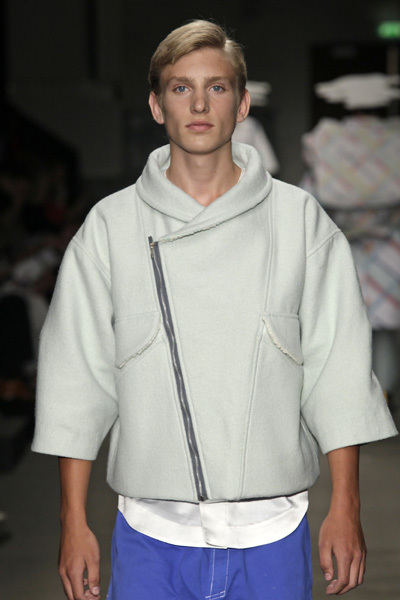 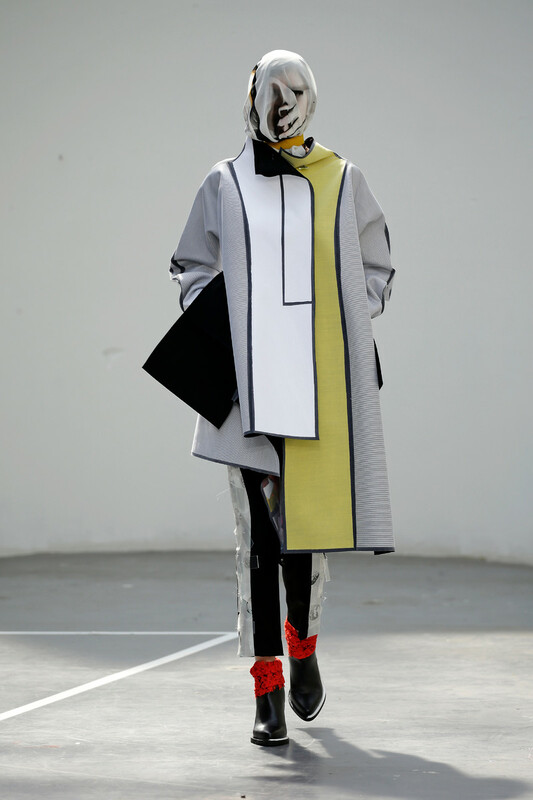 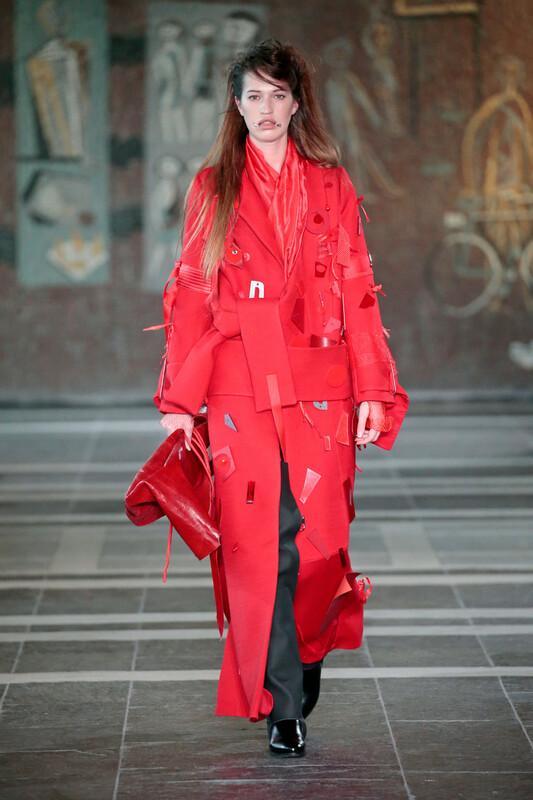 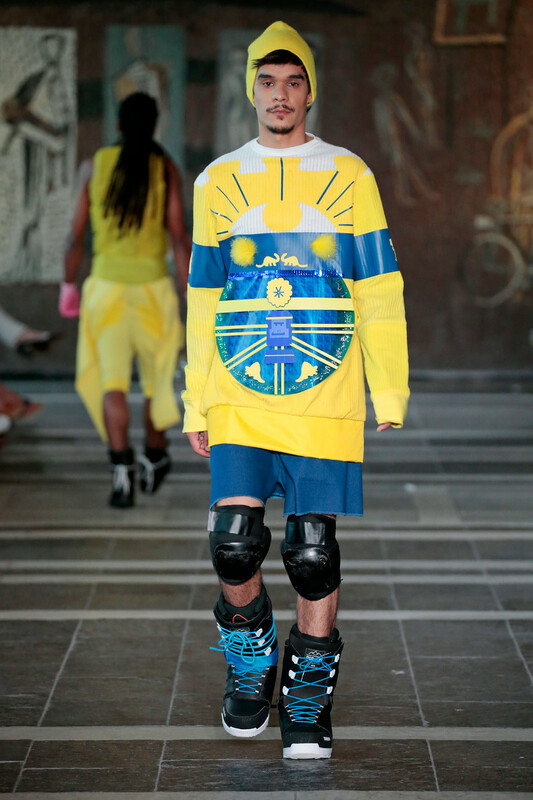 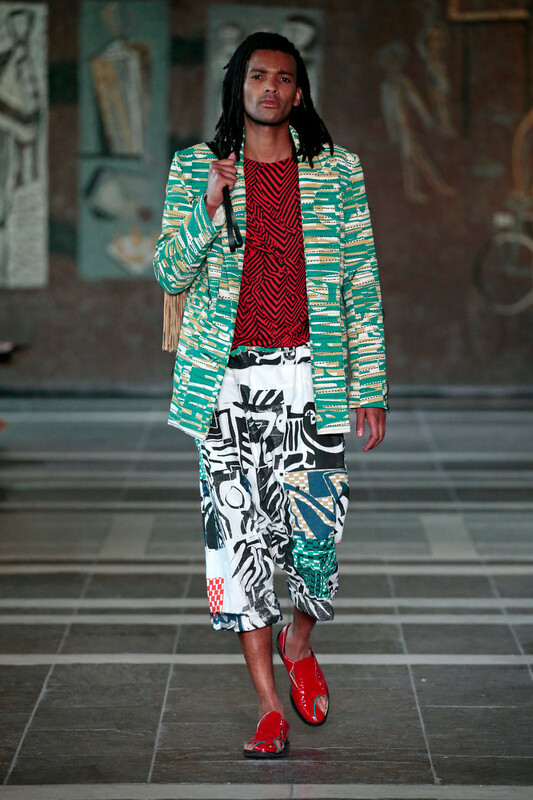 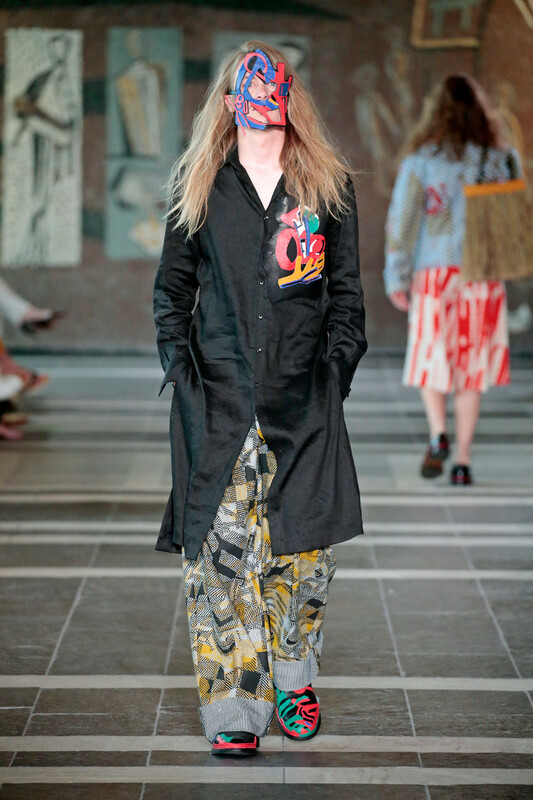 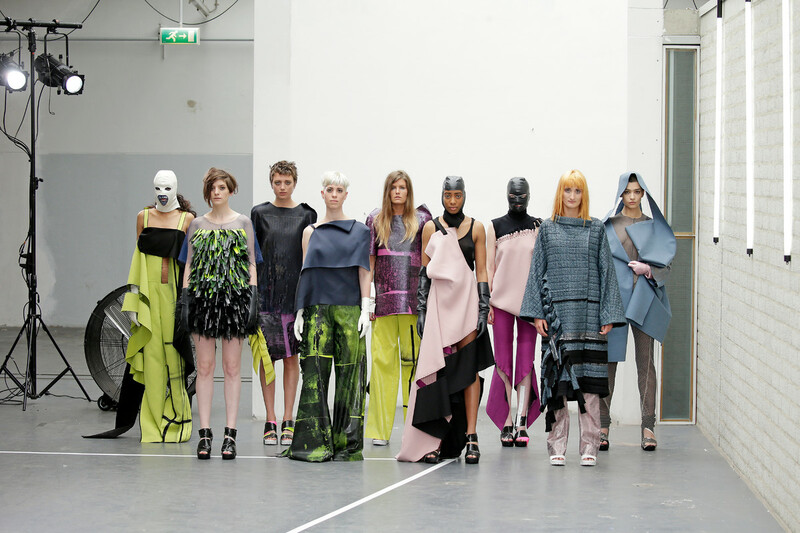 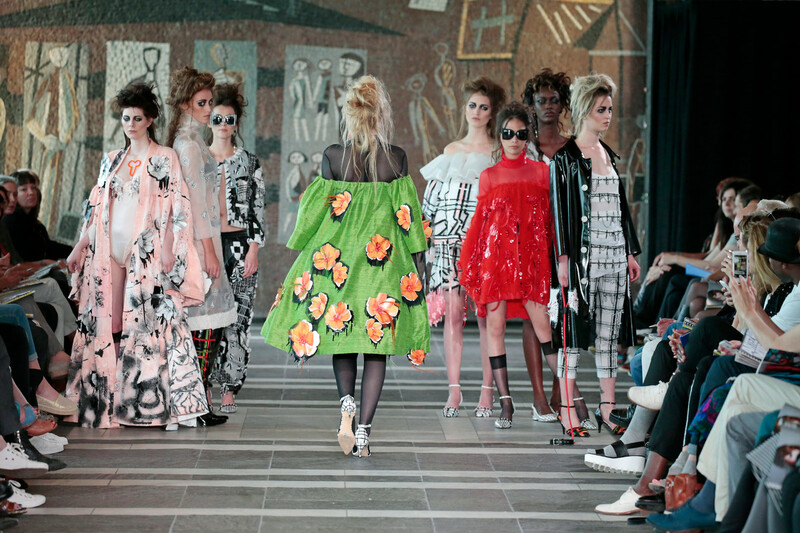 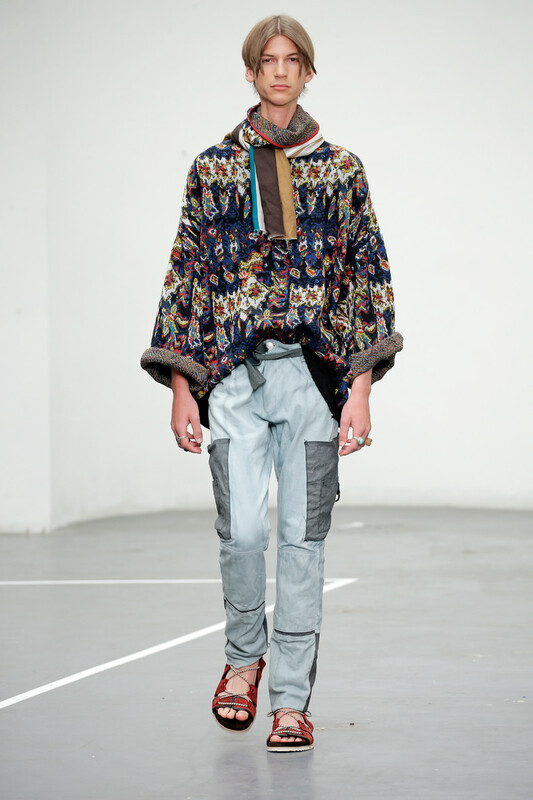 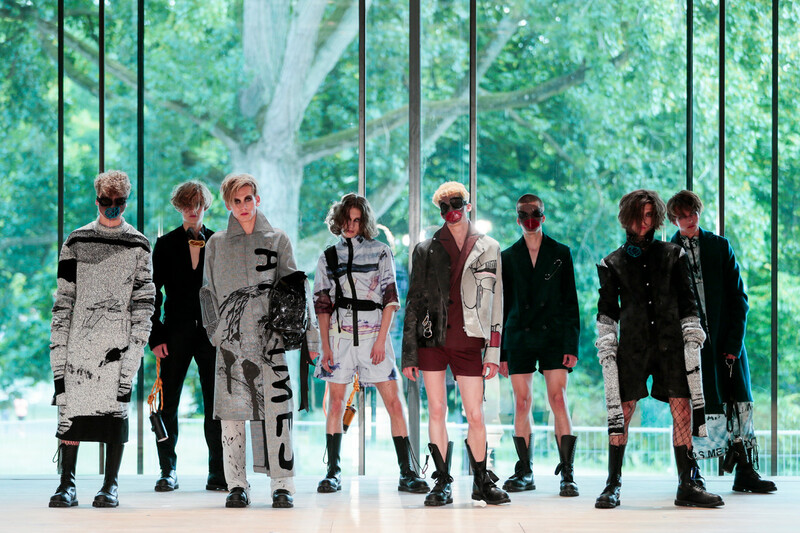 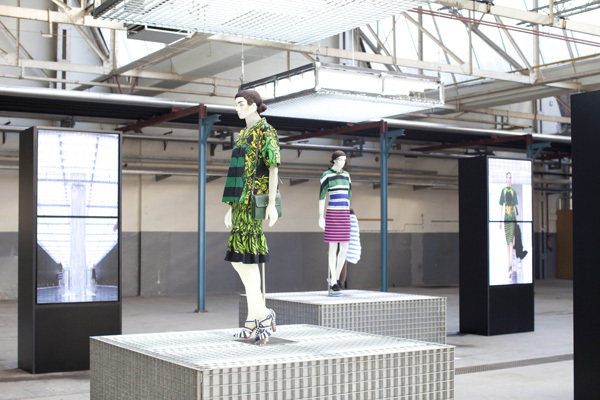 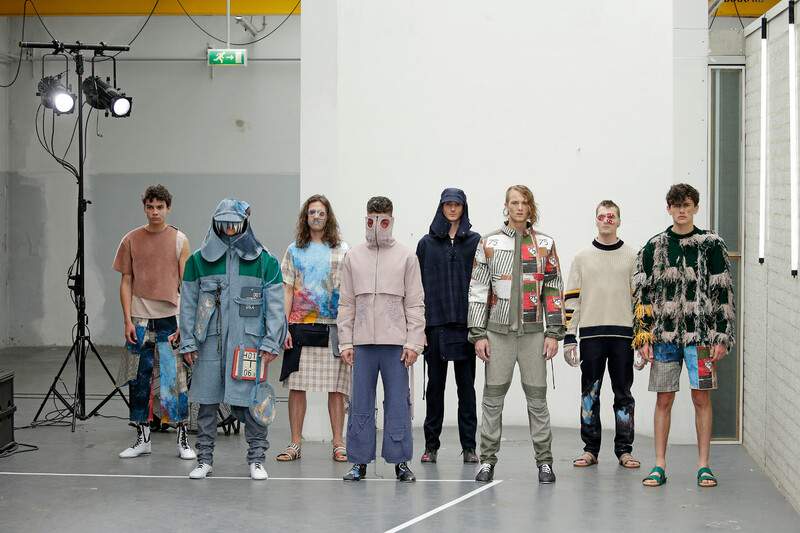 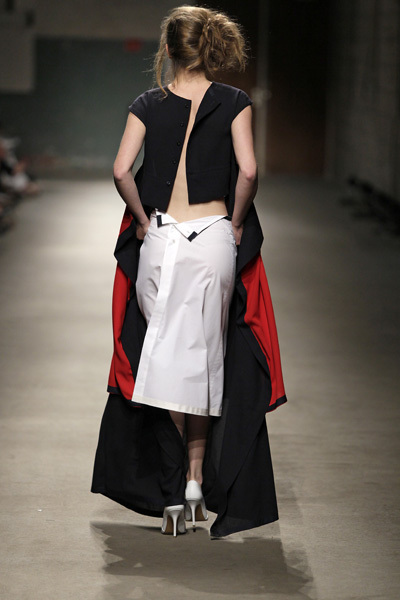 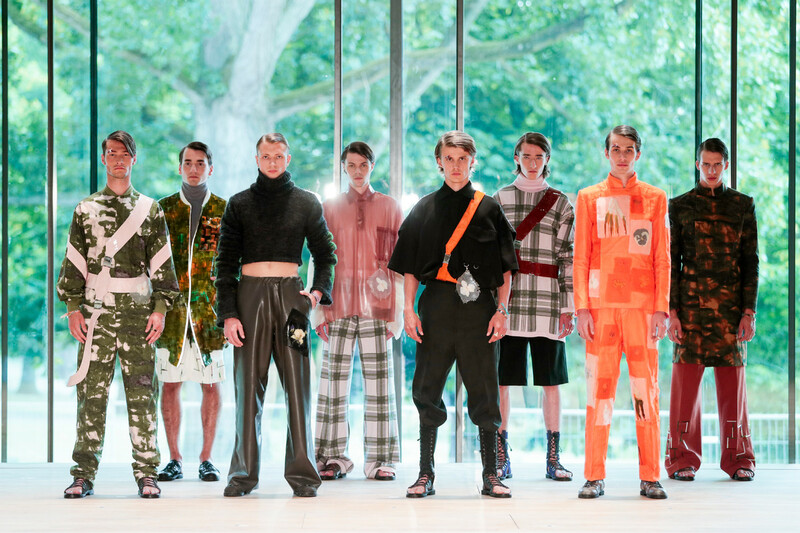 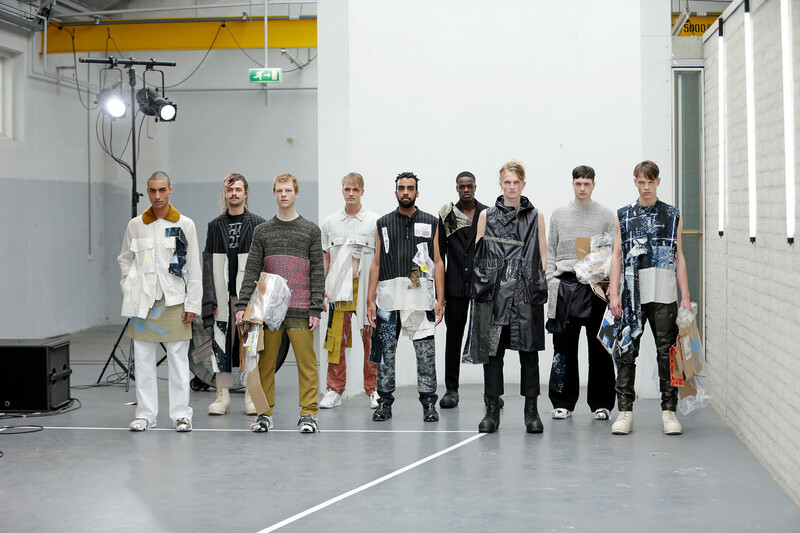 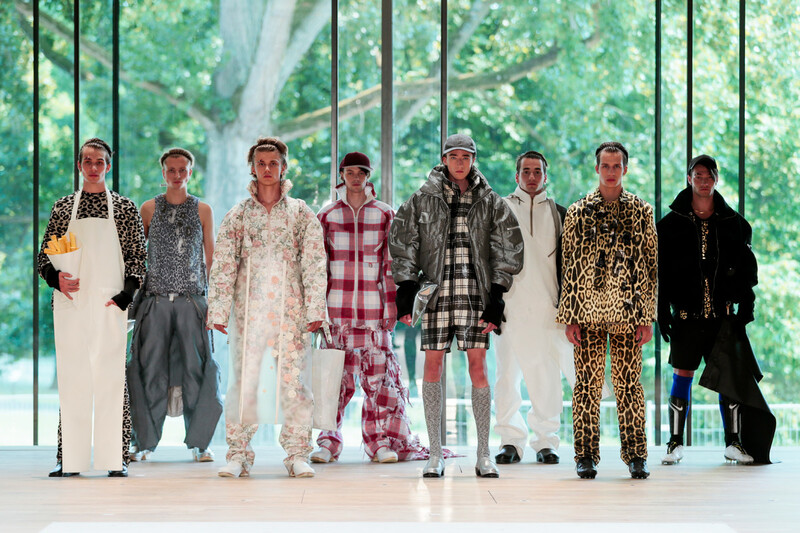 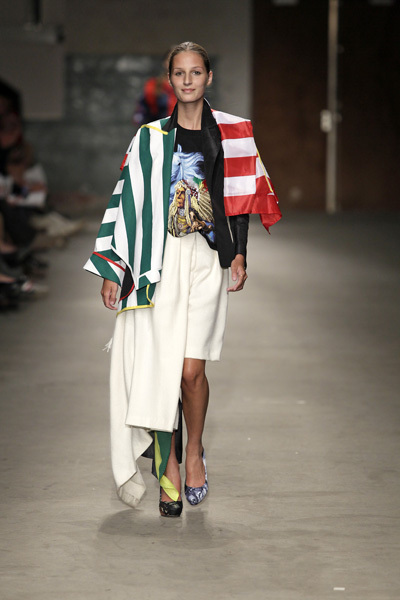 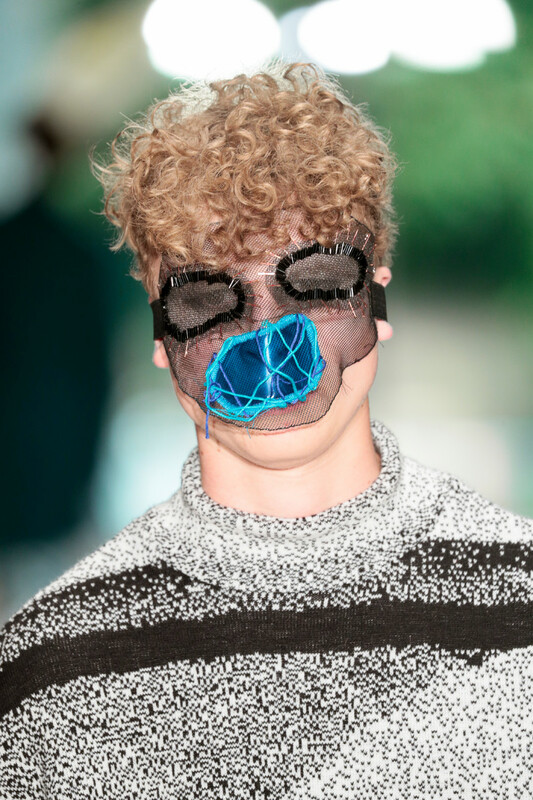 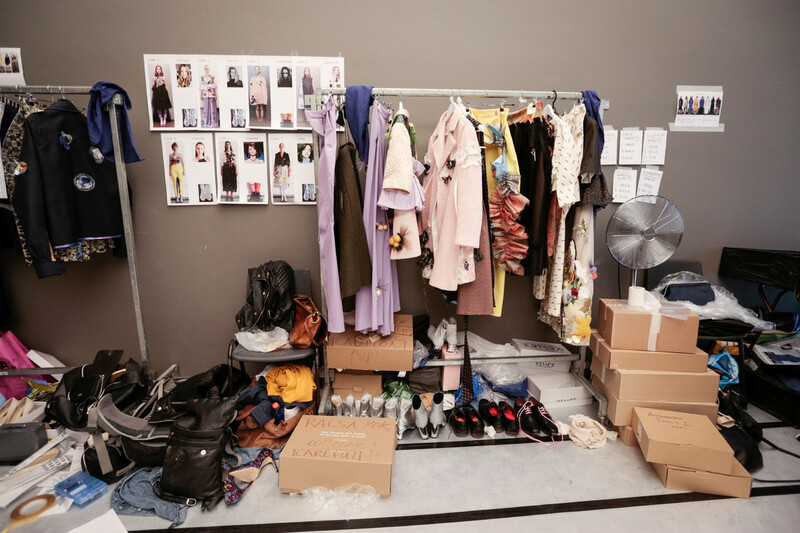 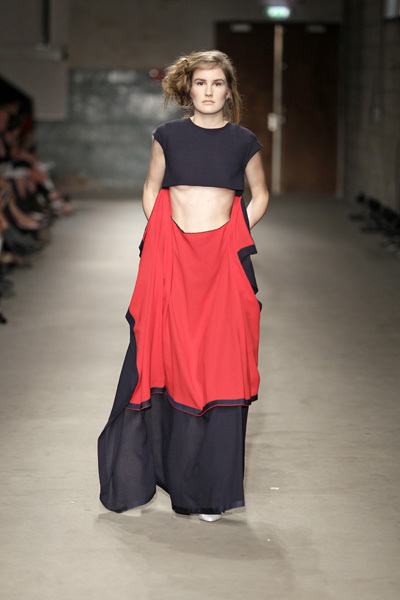 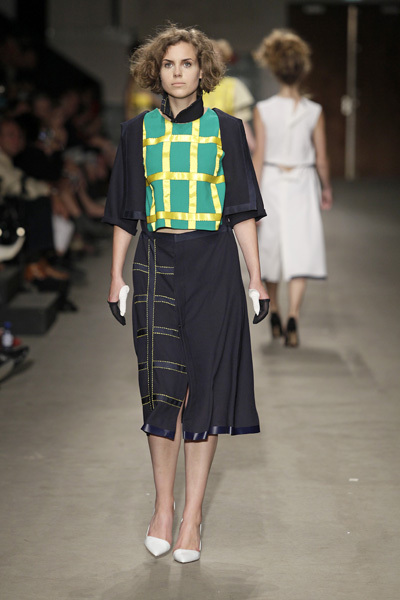 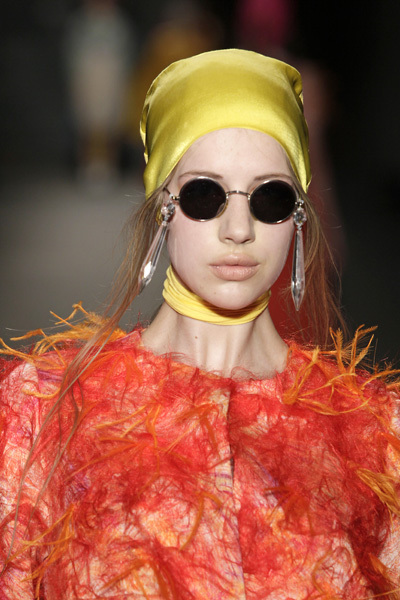 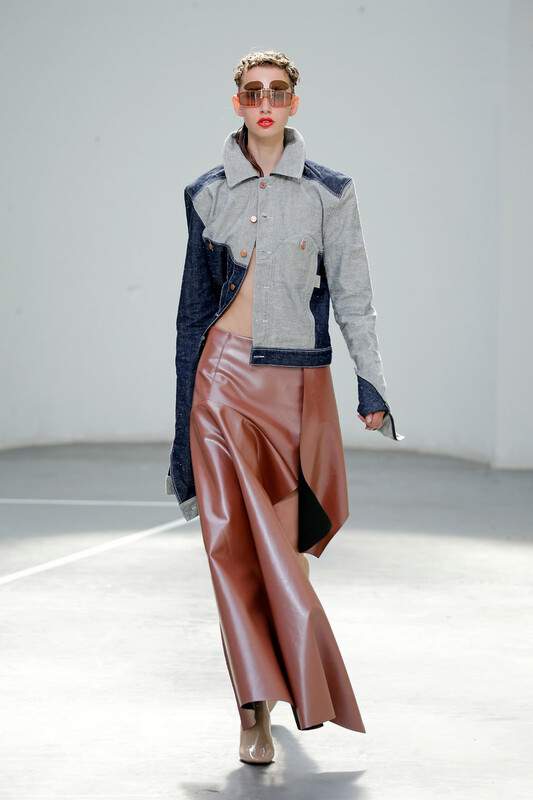 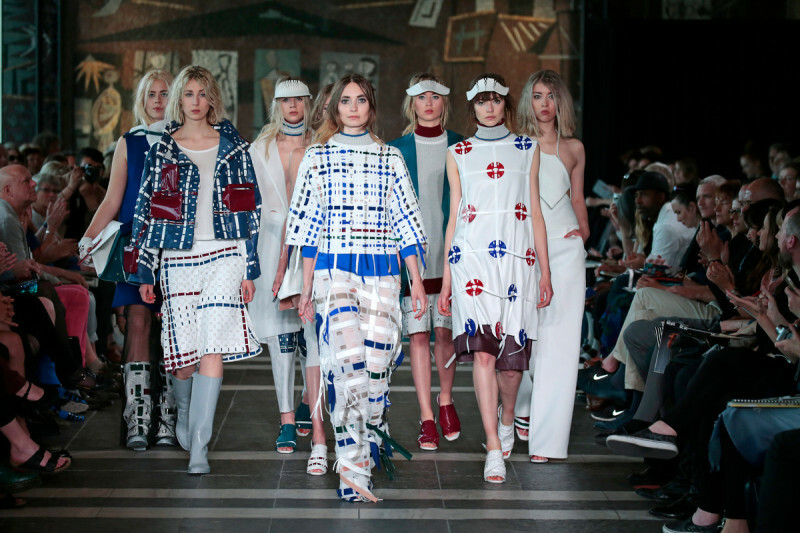 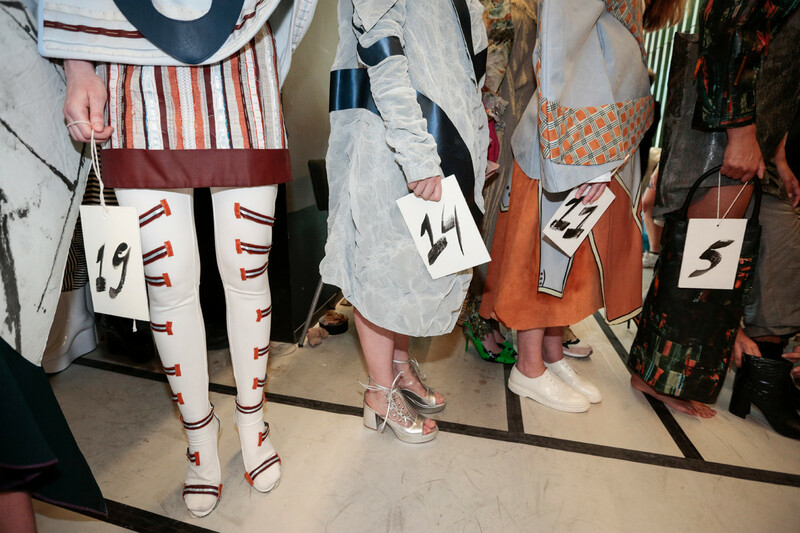 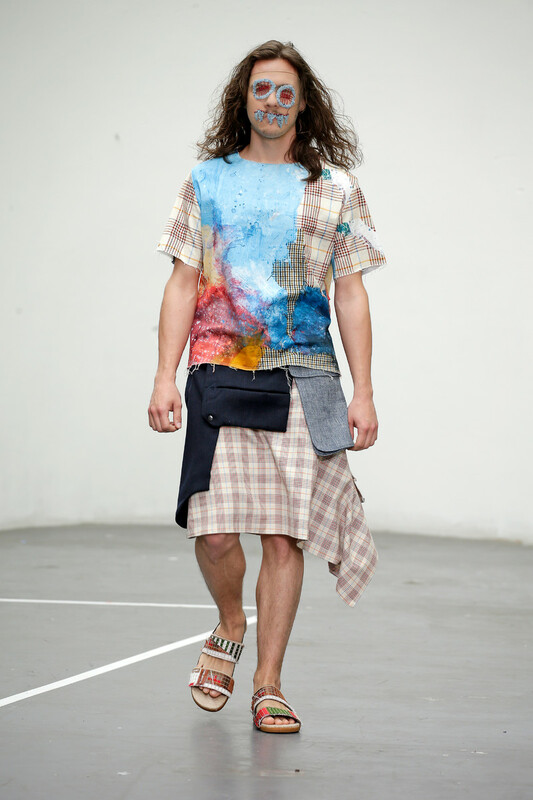 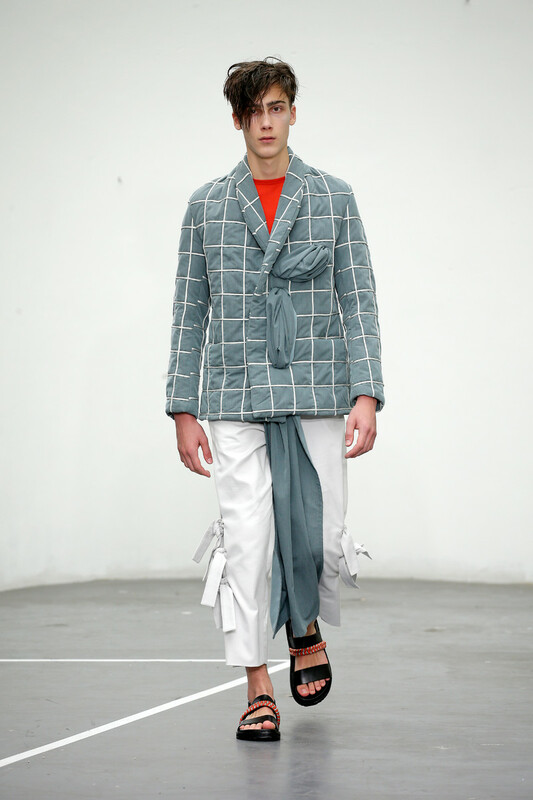 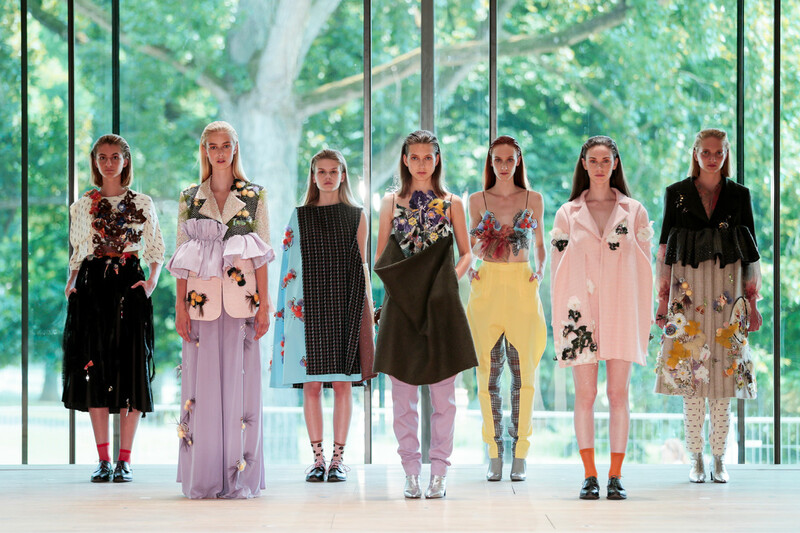 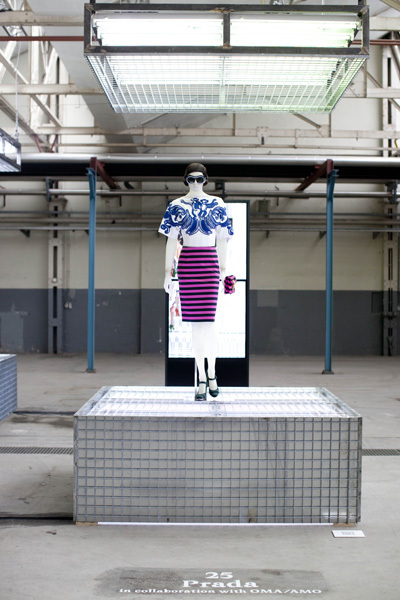 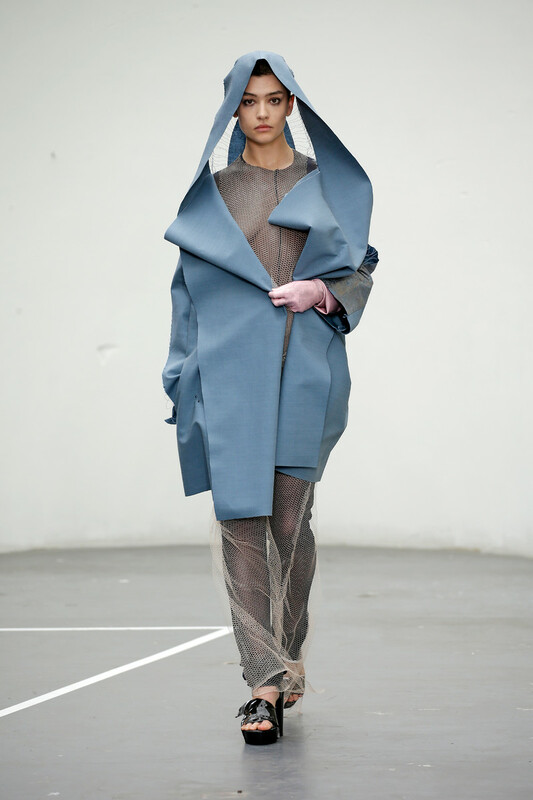 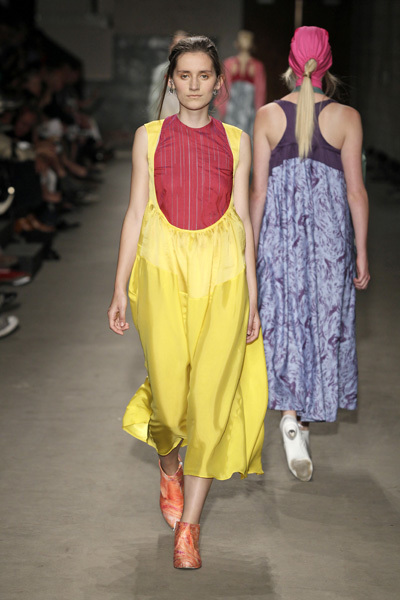 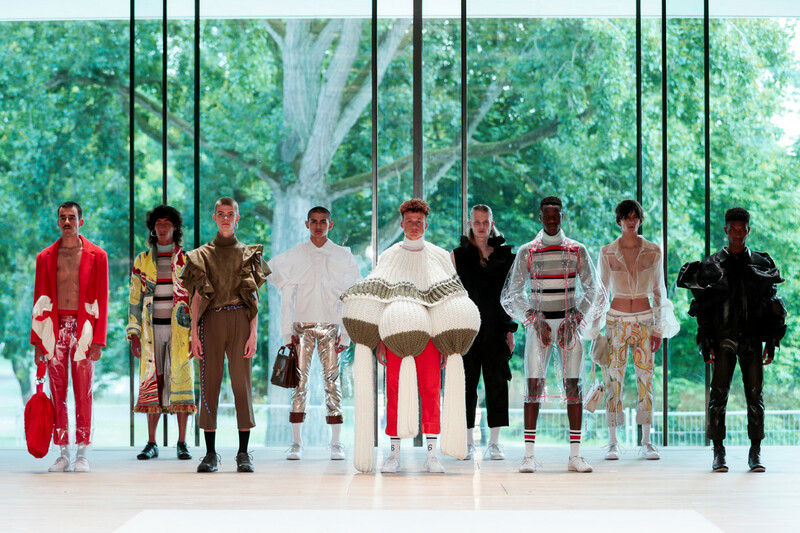 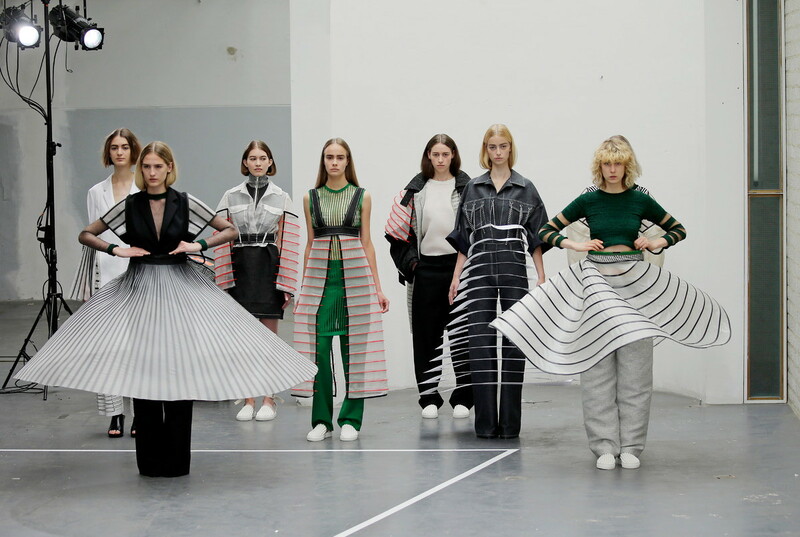 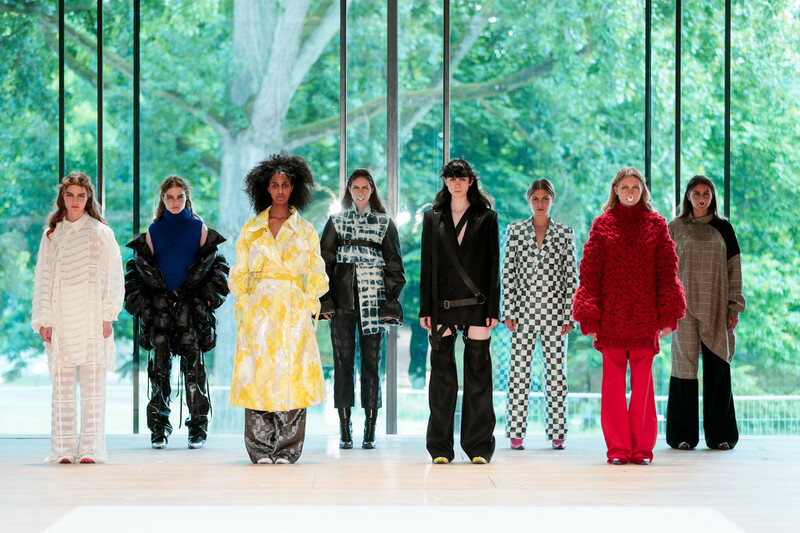 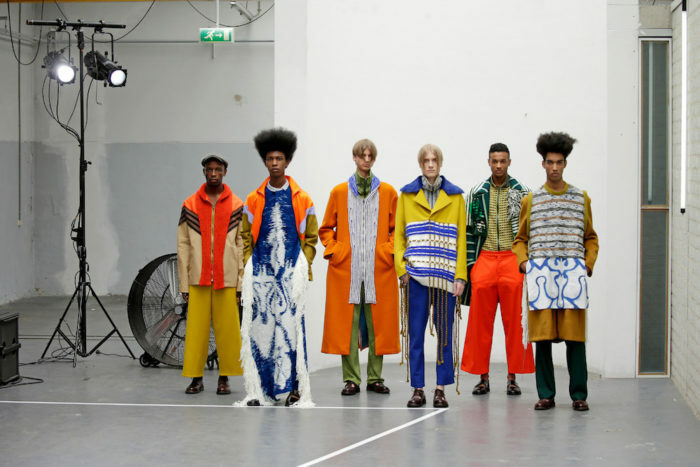 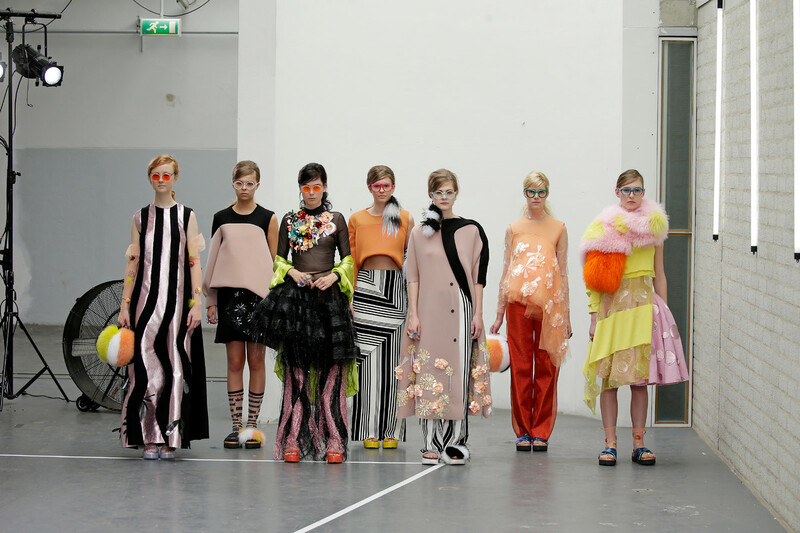 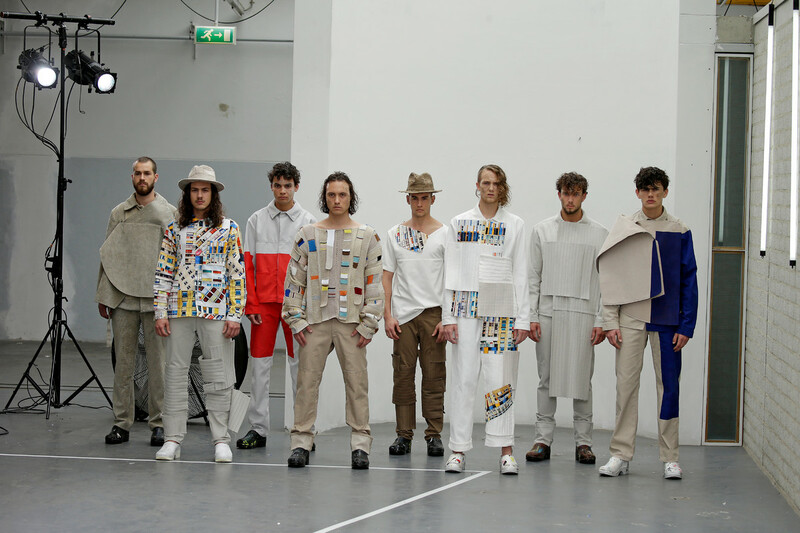 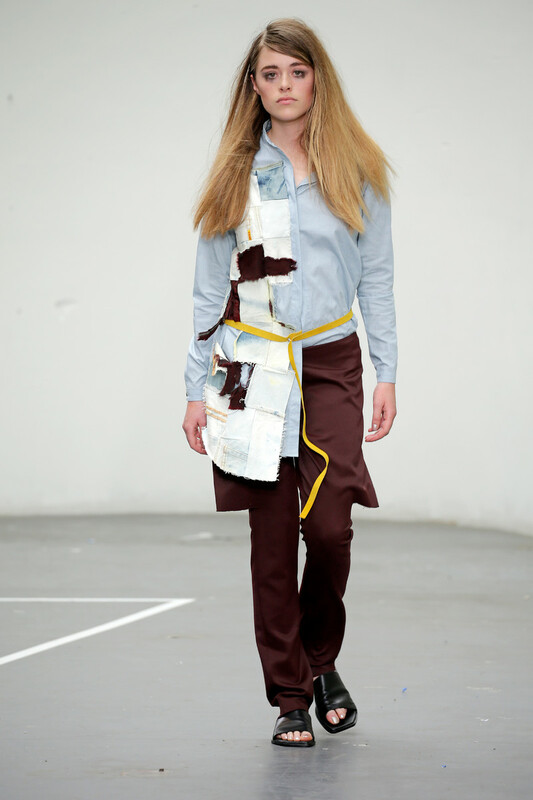 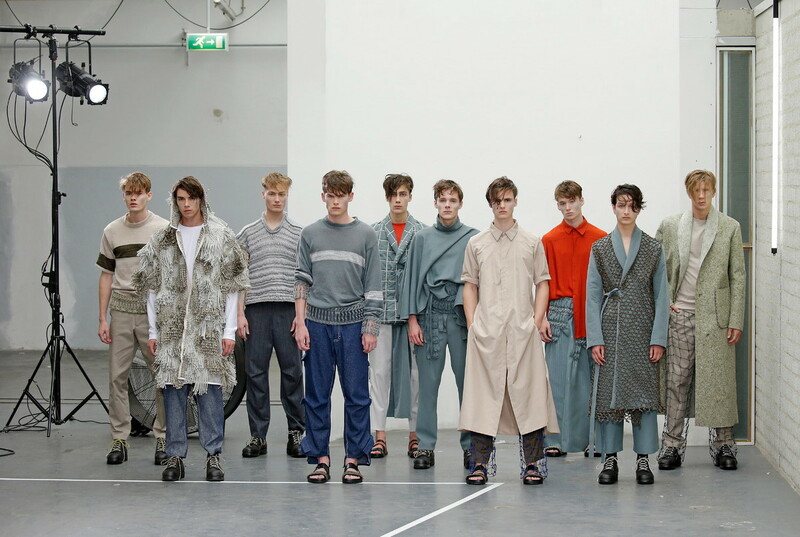 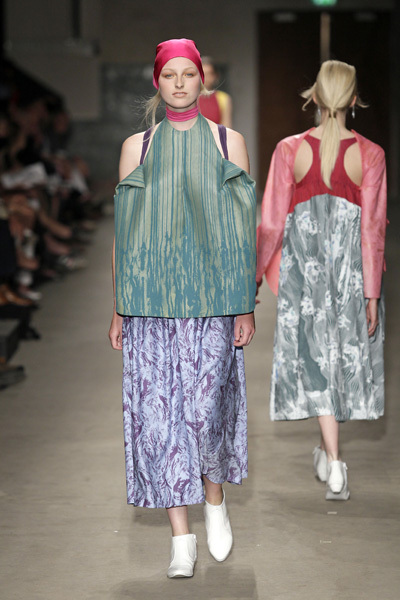 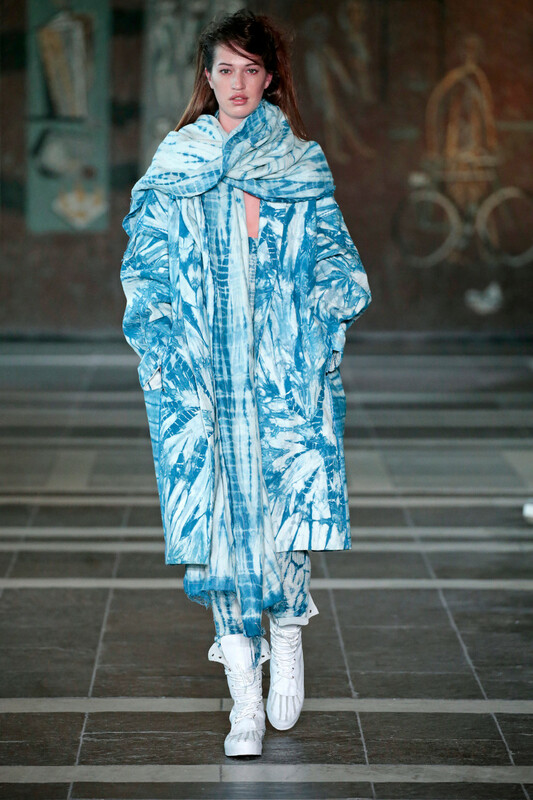 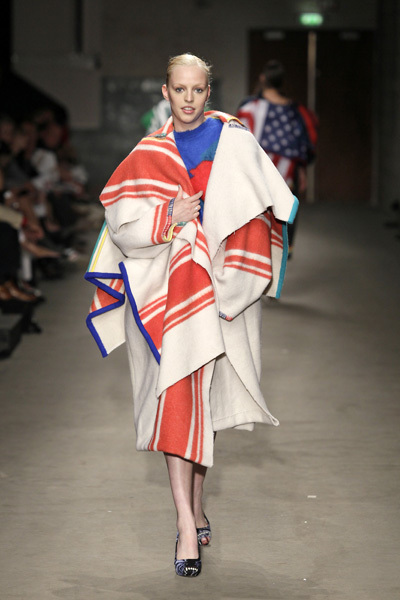 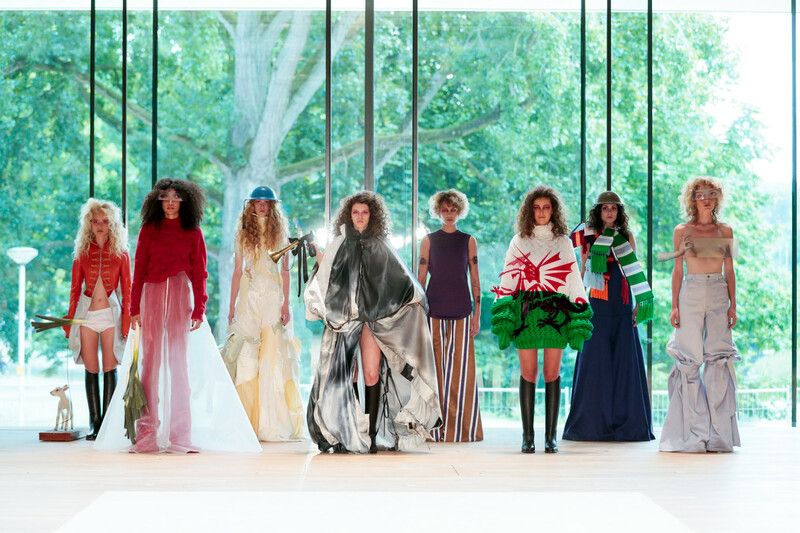 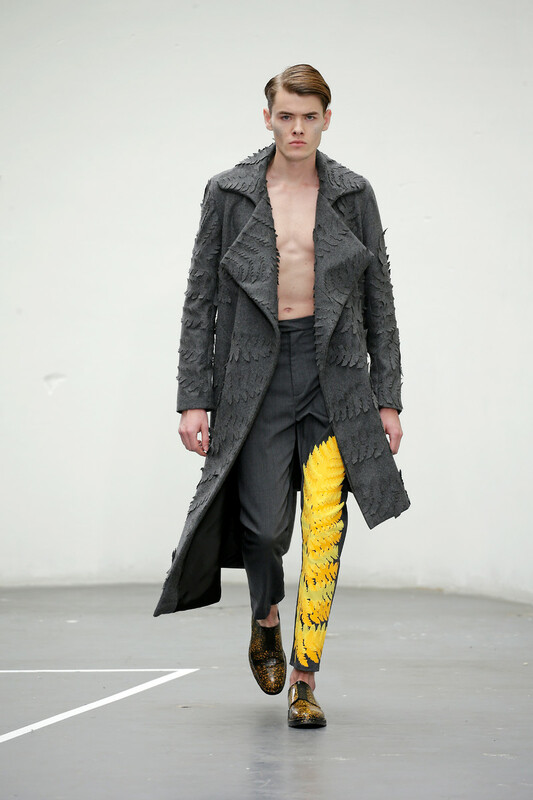 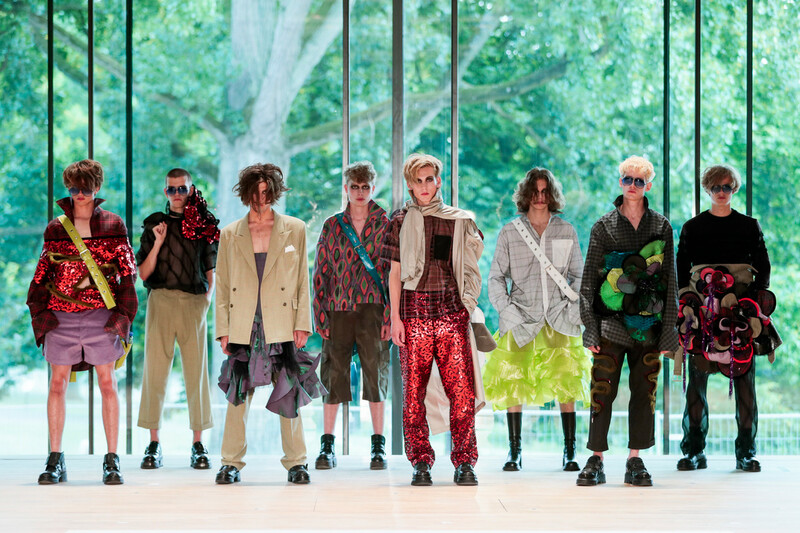 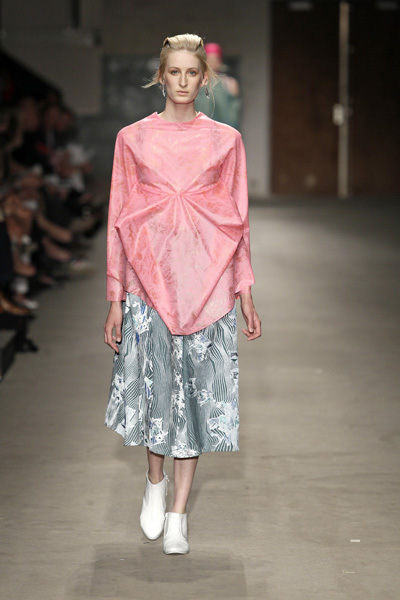 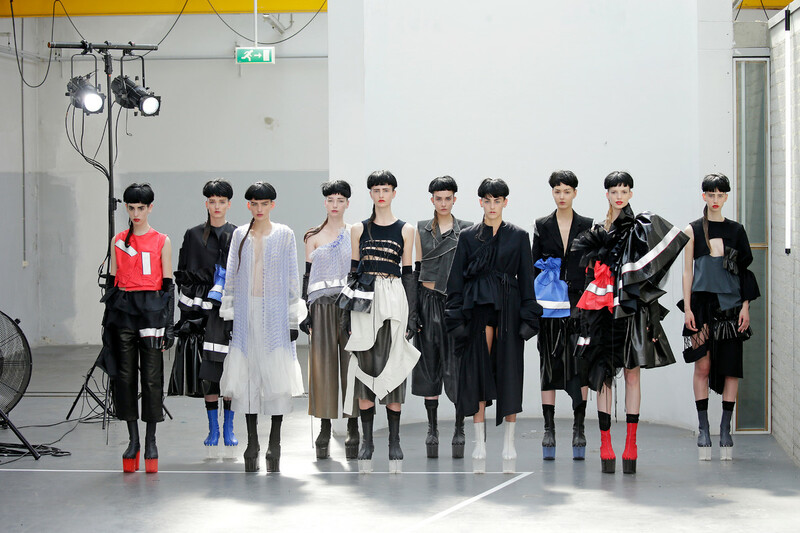 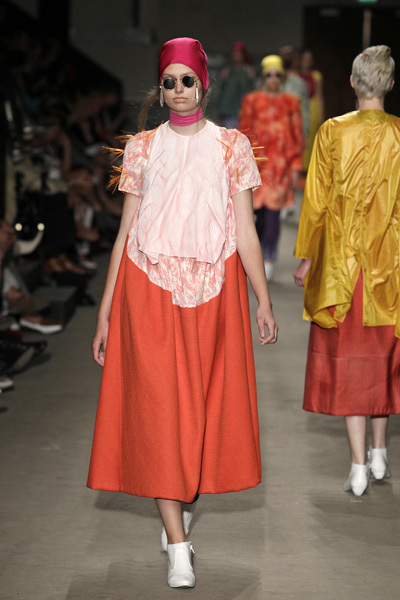 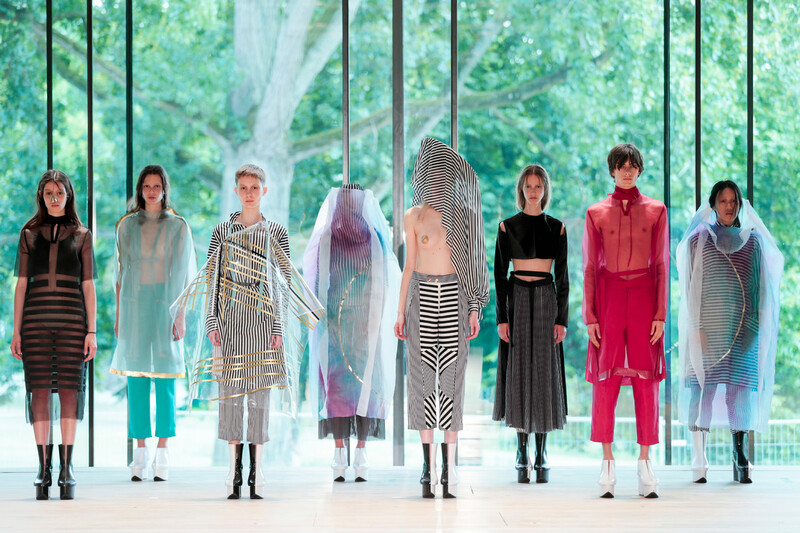 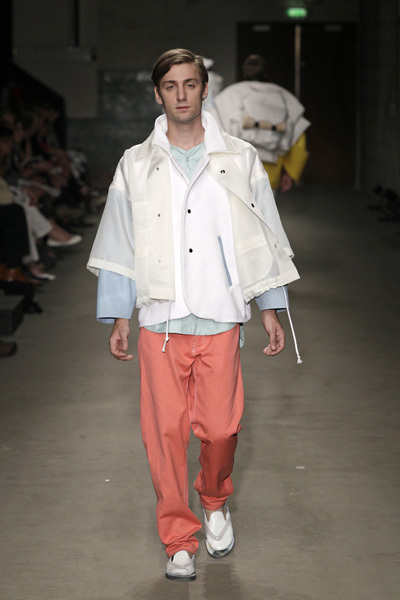 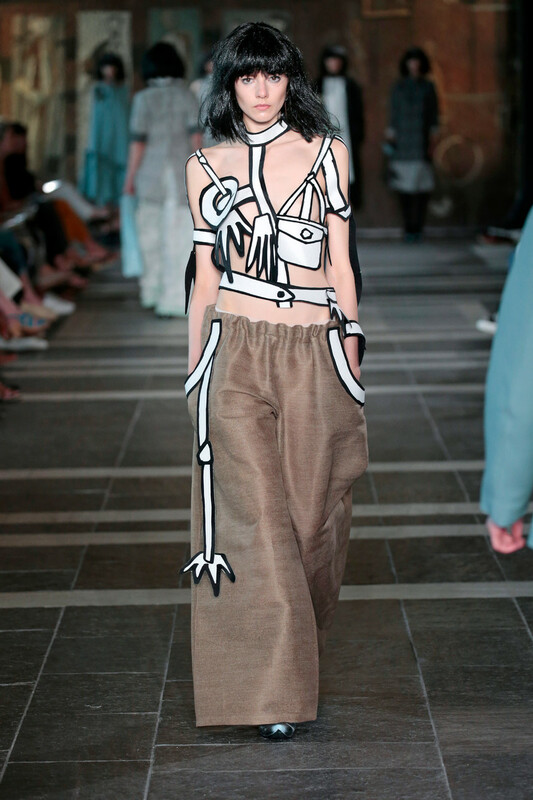 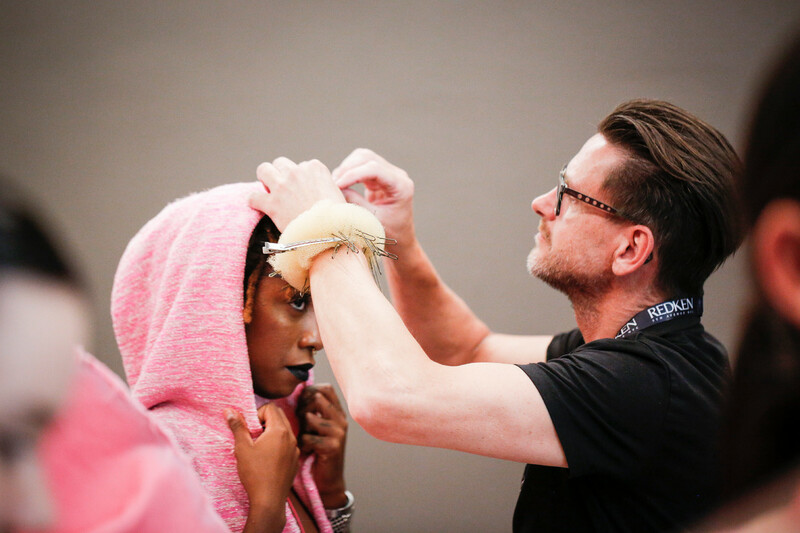 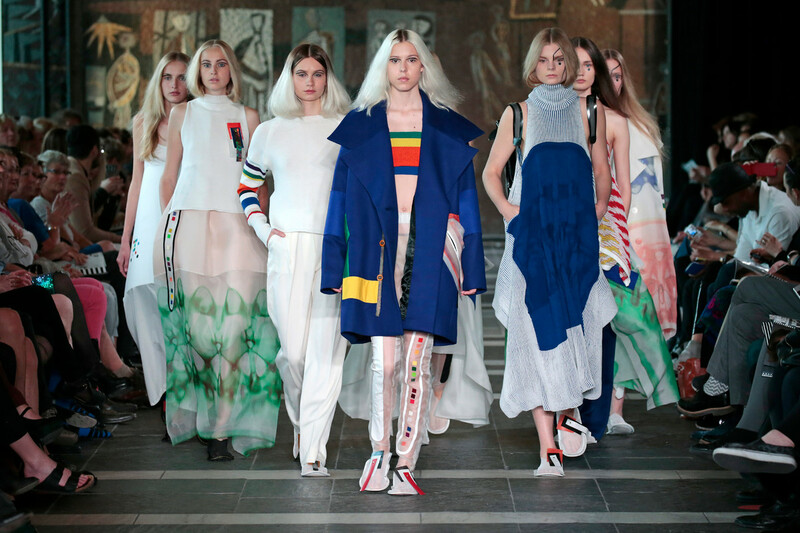 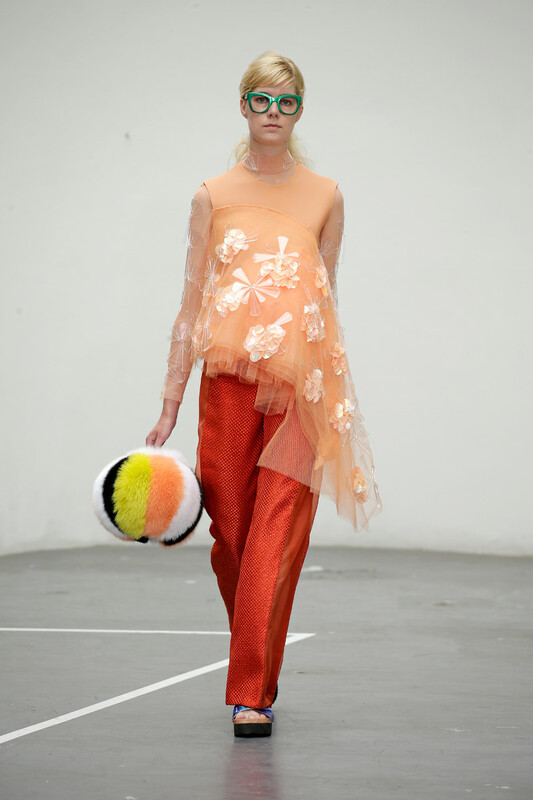 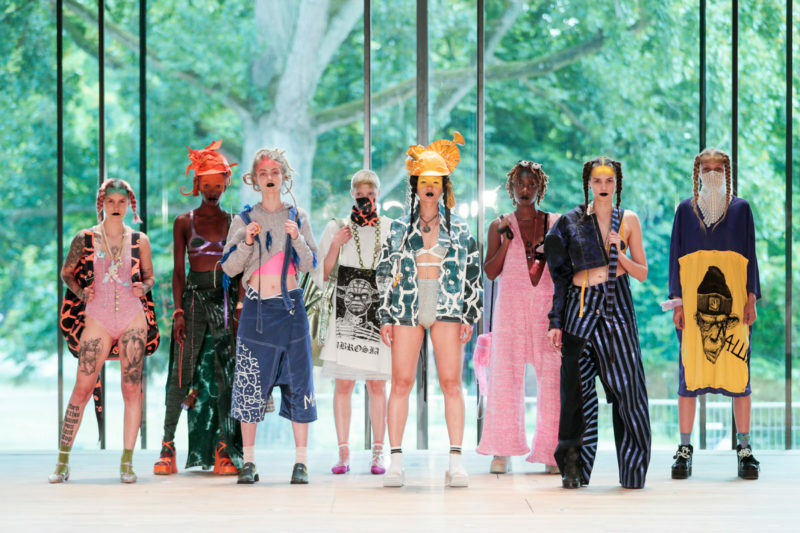 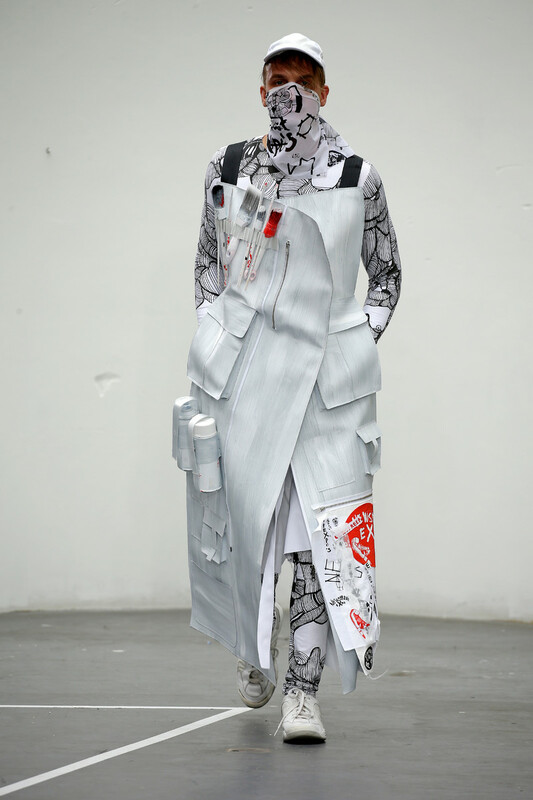 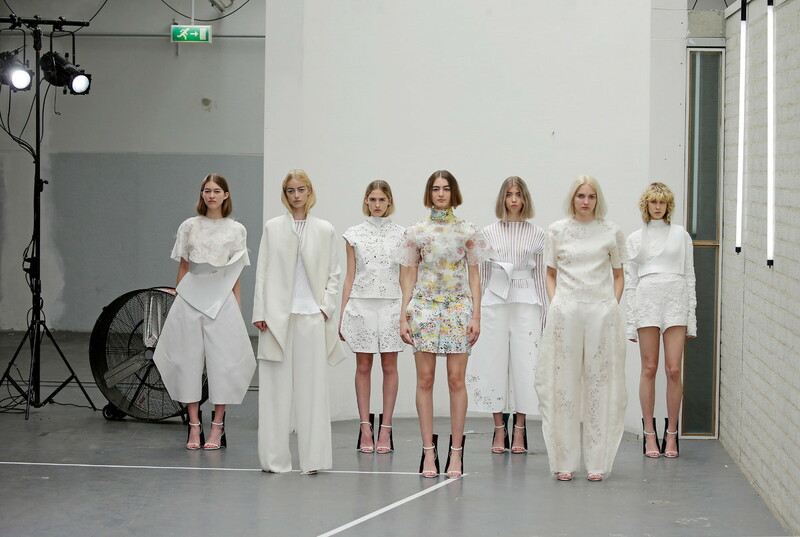 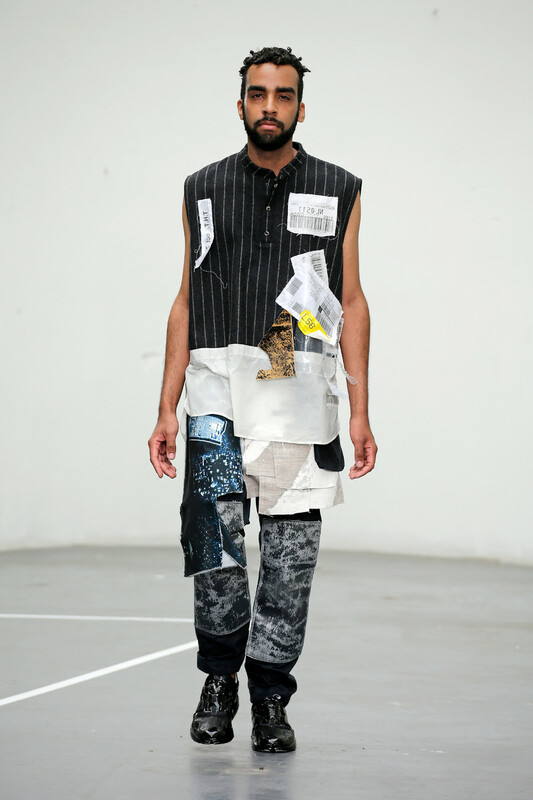 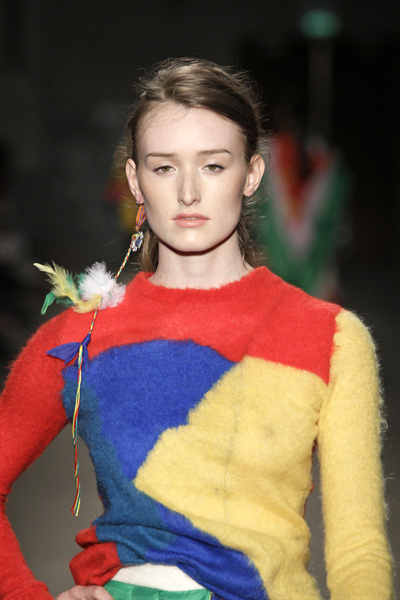 You’ll see designs of Central Saint Martins students next to designs of Bas Kosters and Marryme-JimmyPaul.